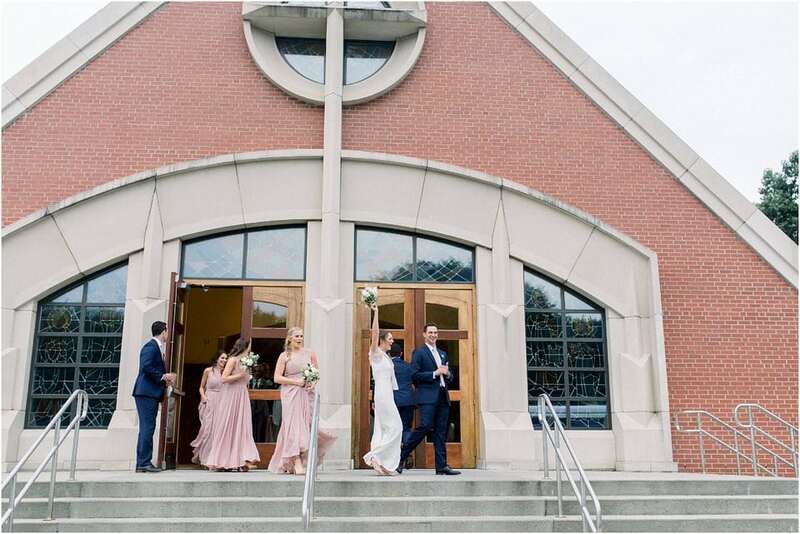 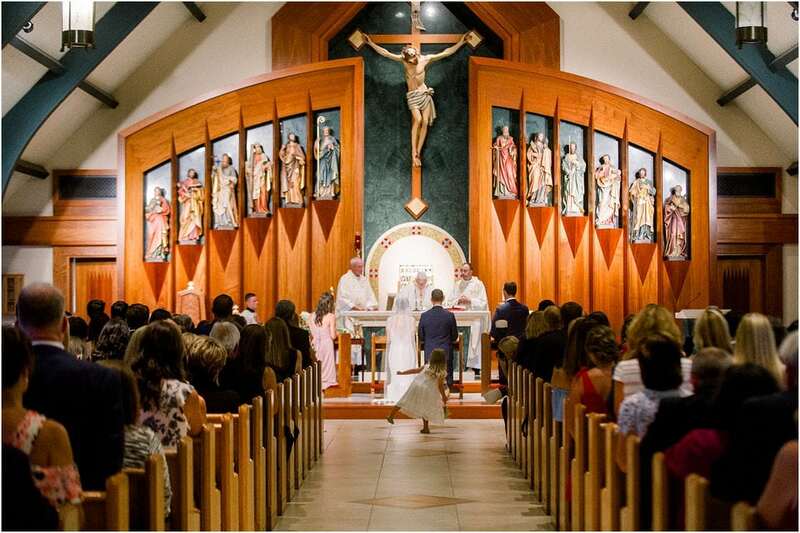 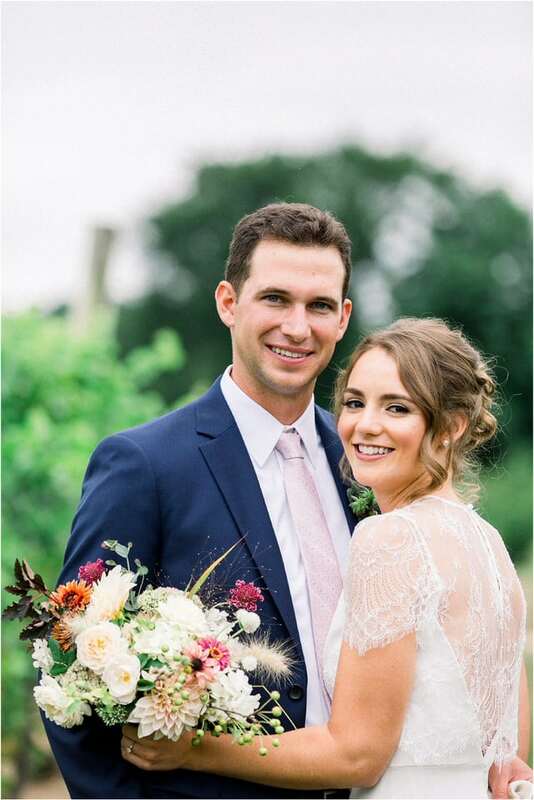 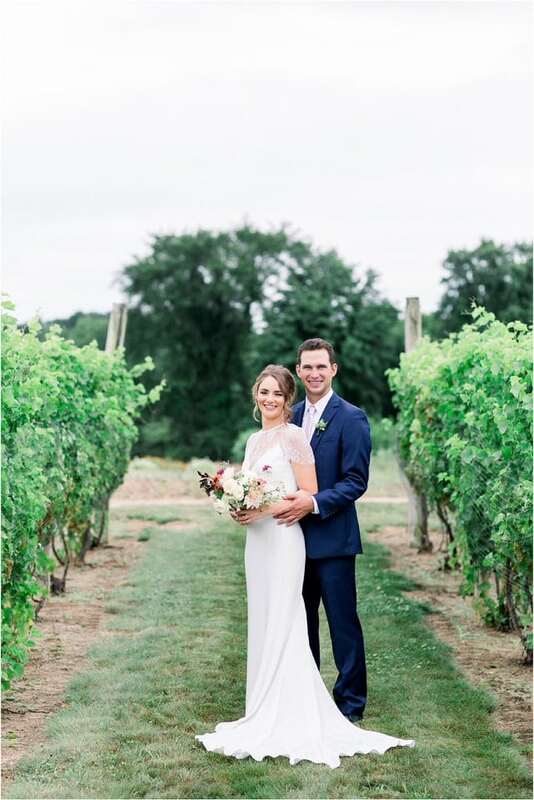 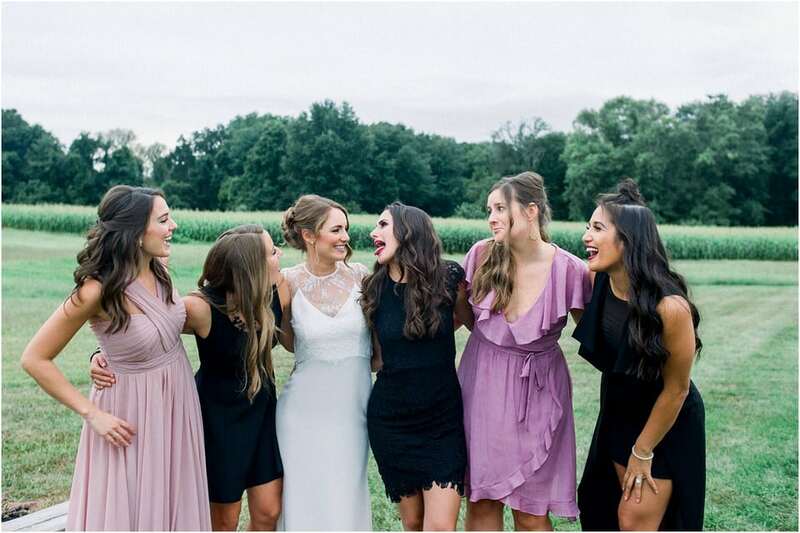 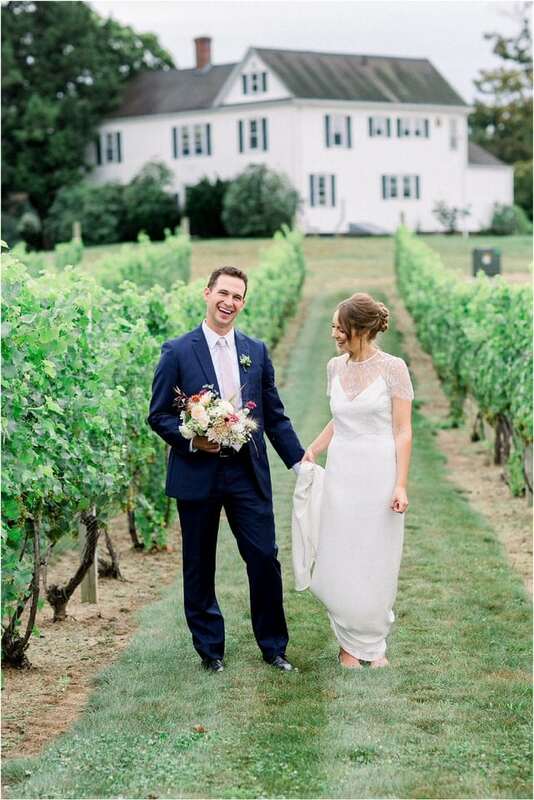 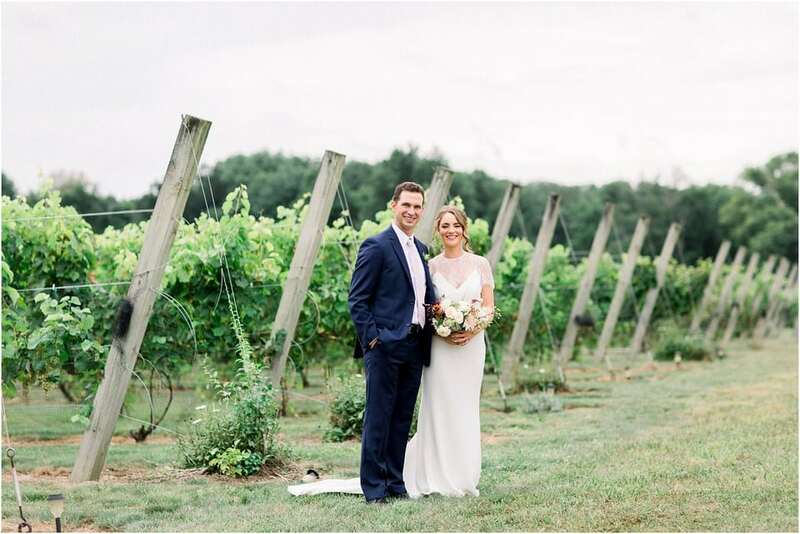 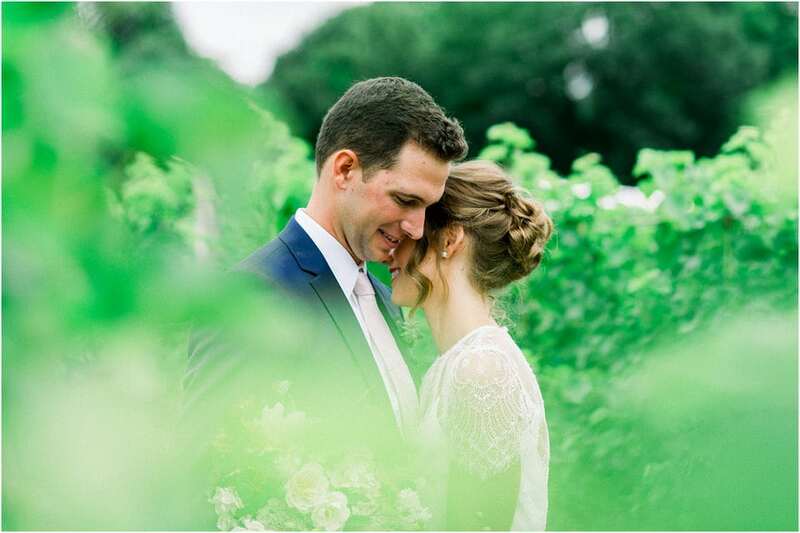 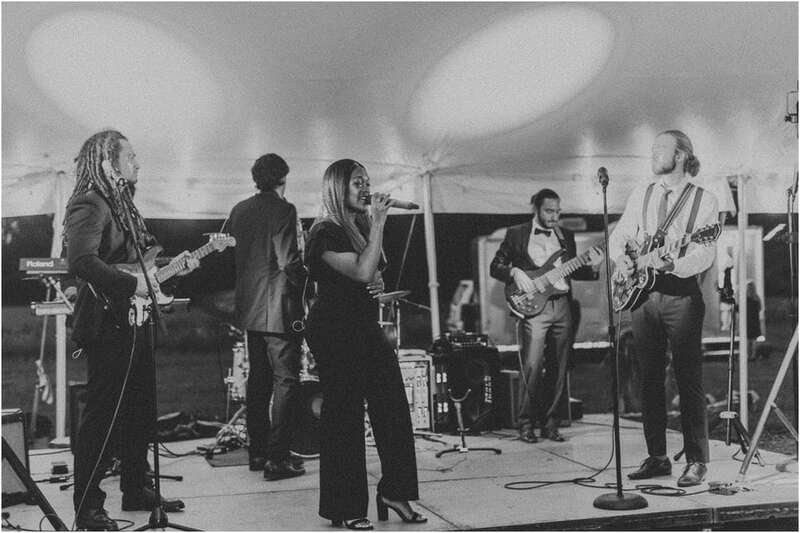 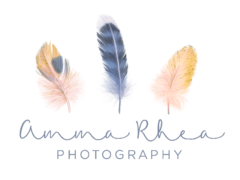 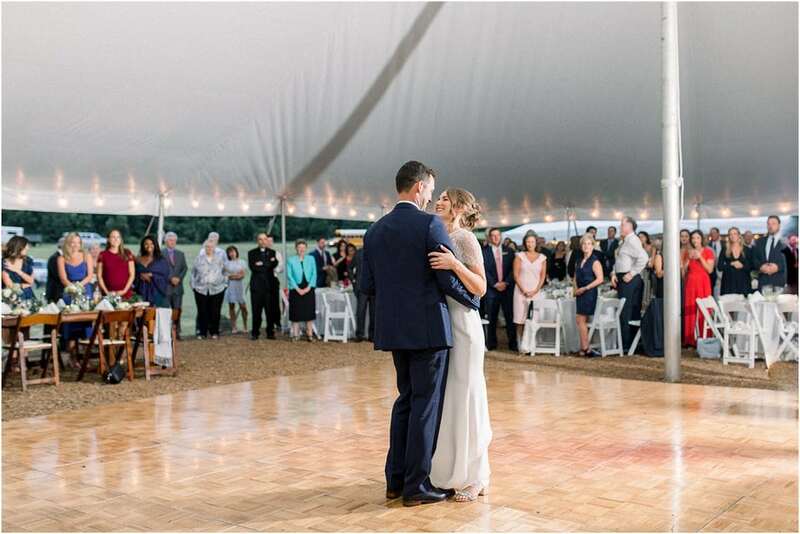 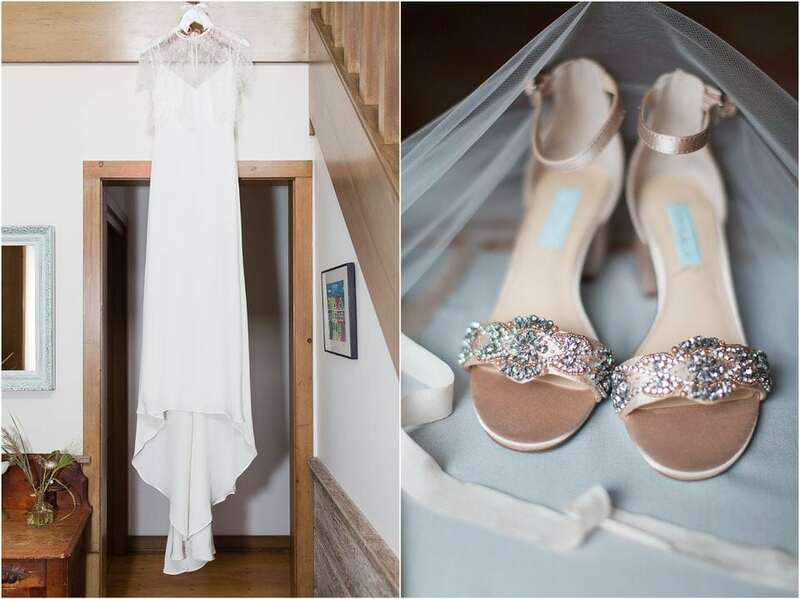 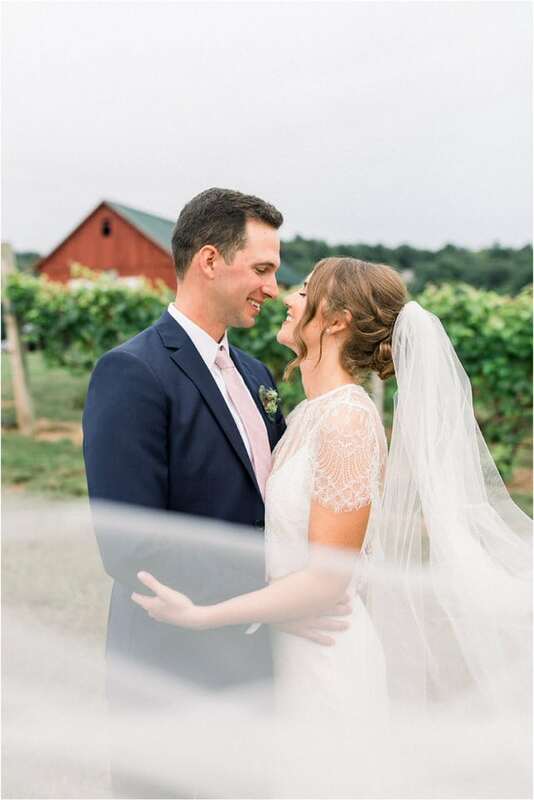 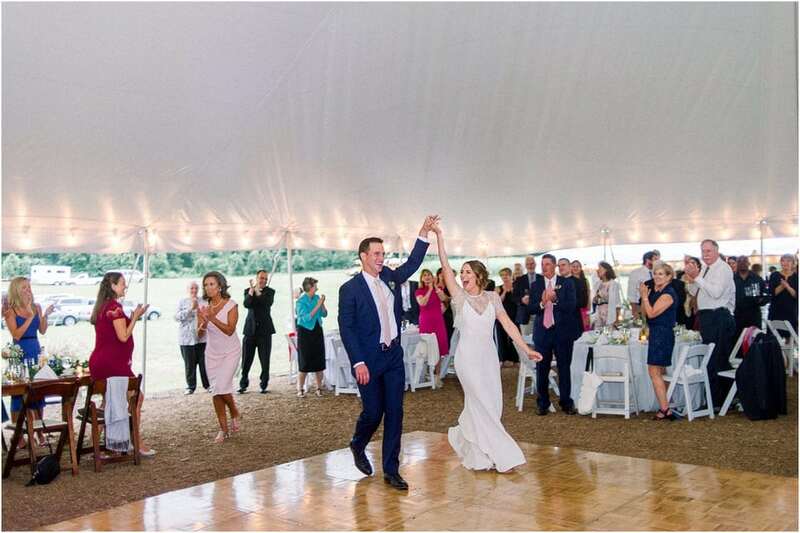 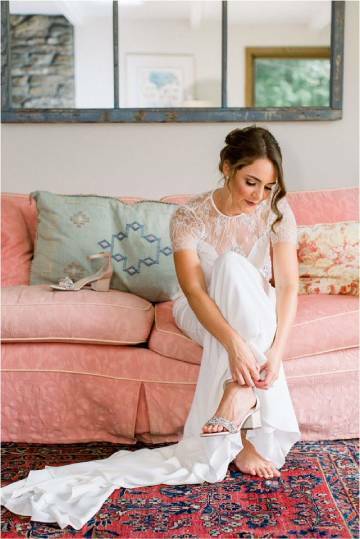 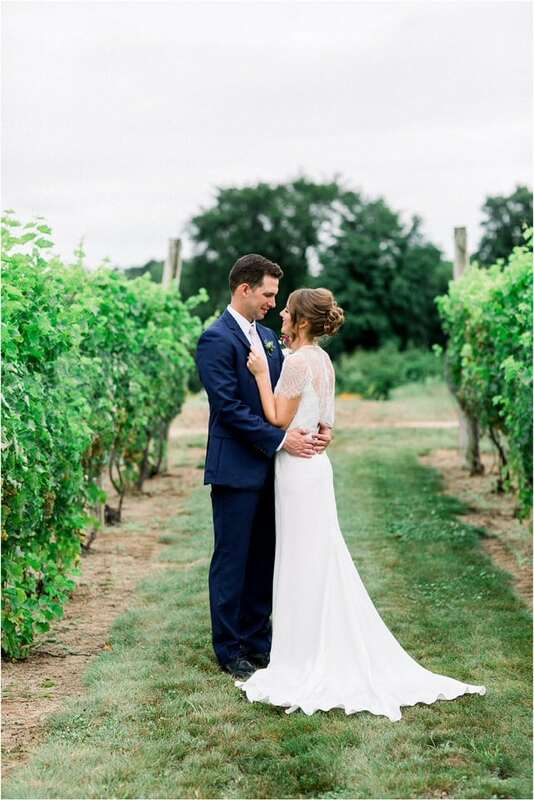 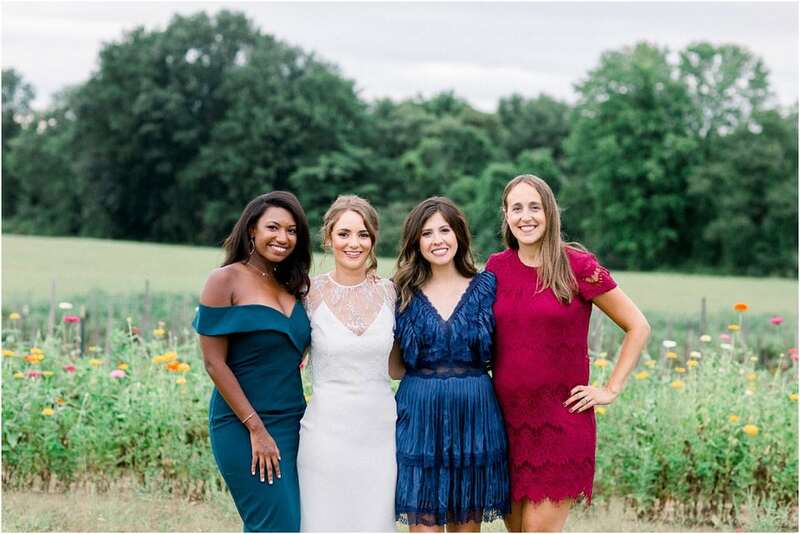 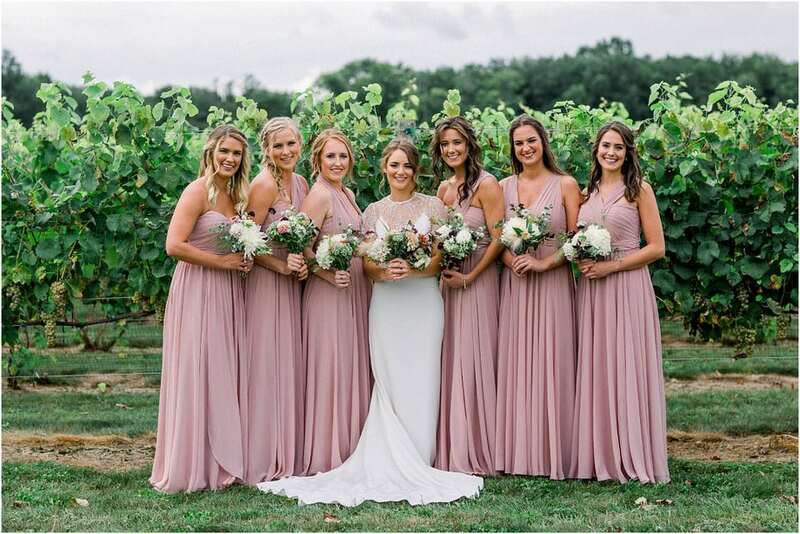 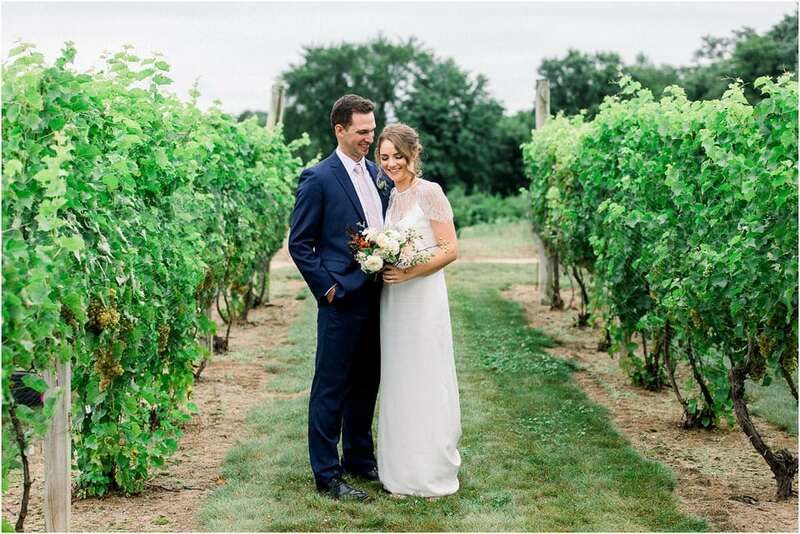 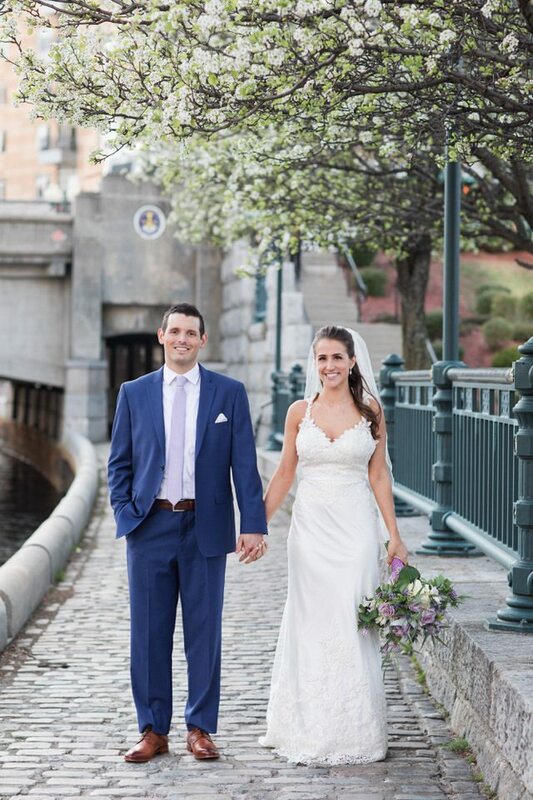 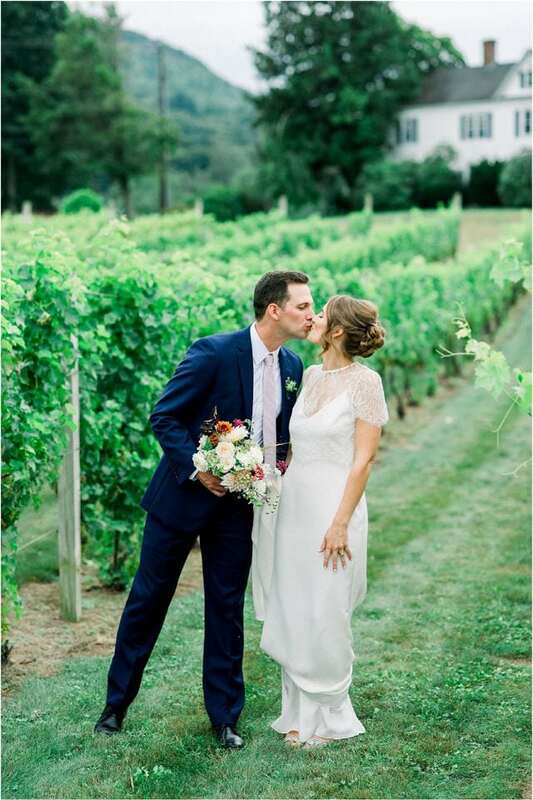 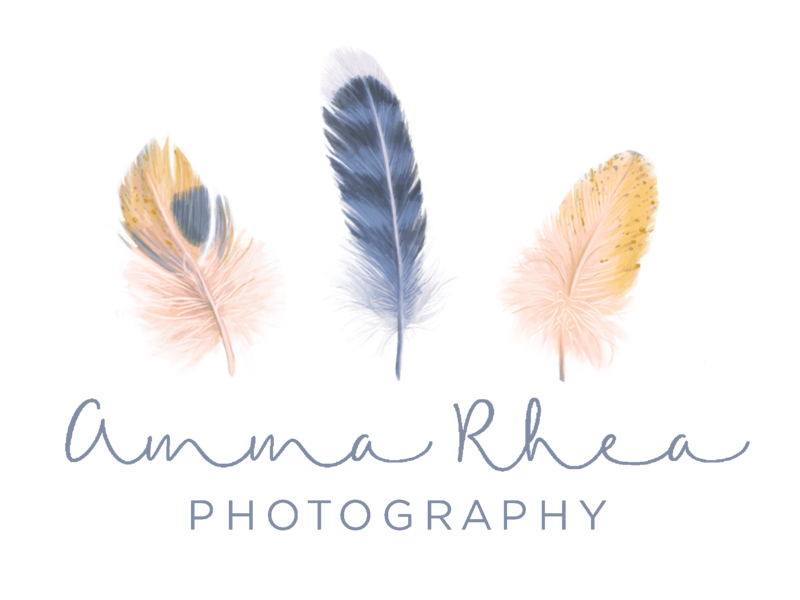 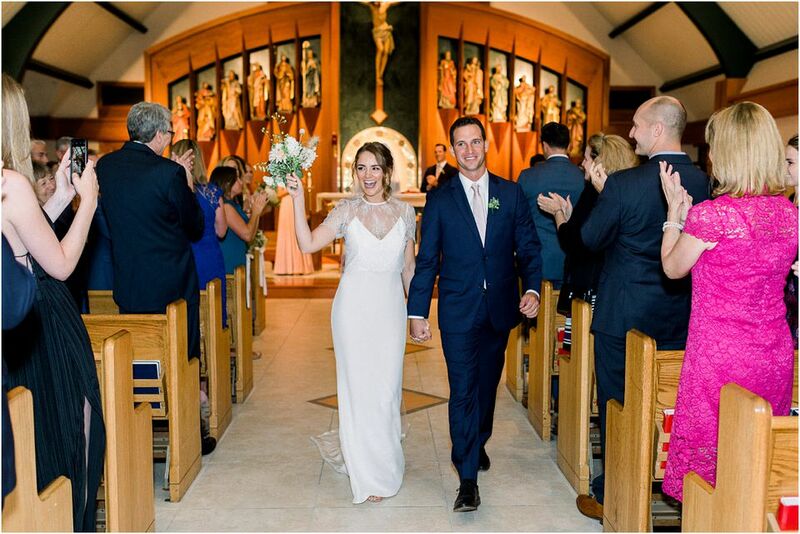 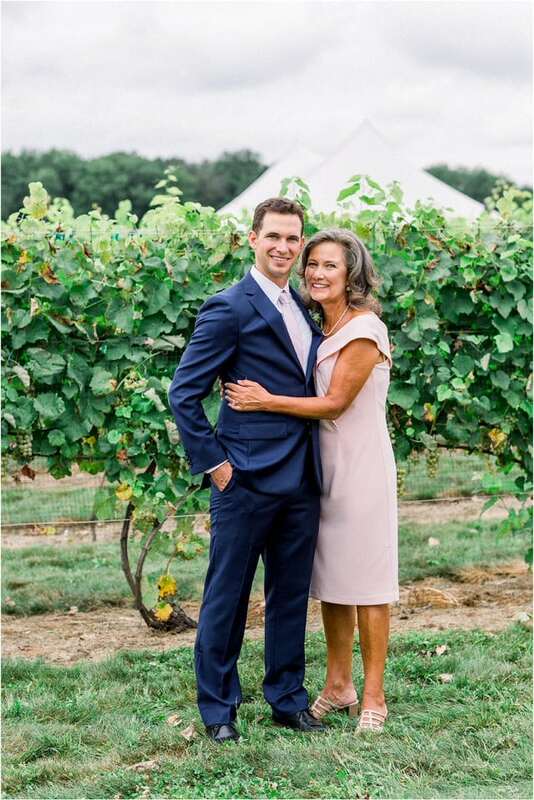 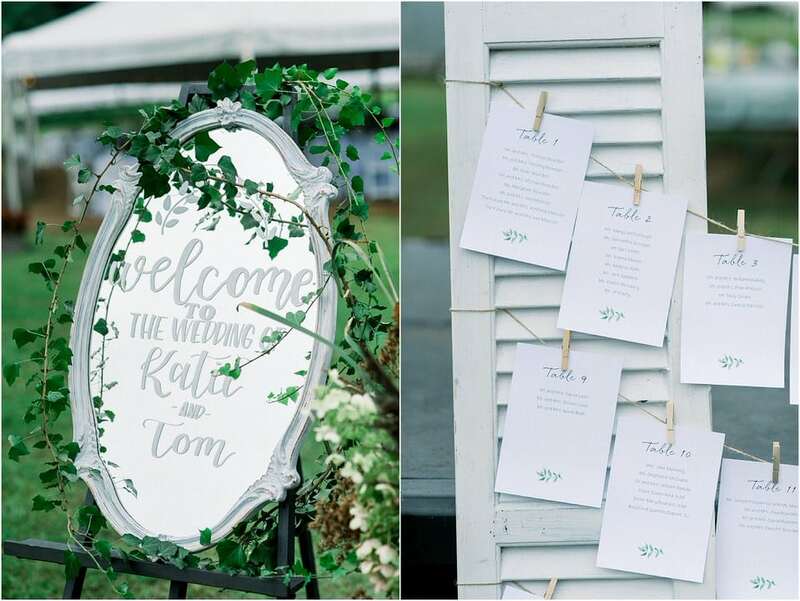 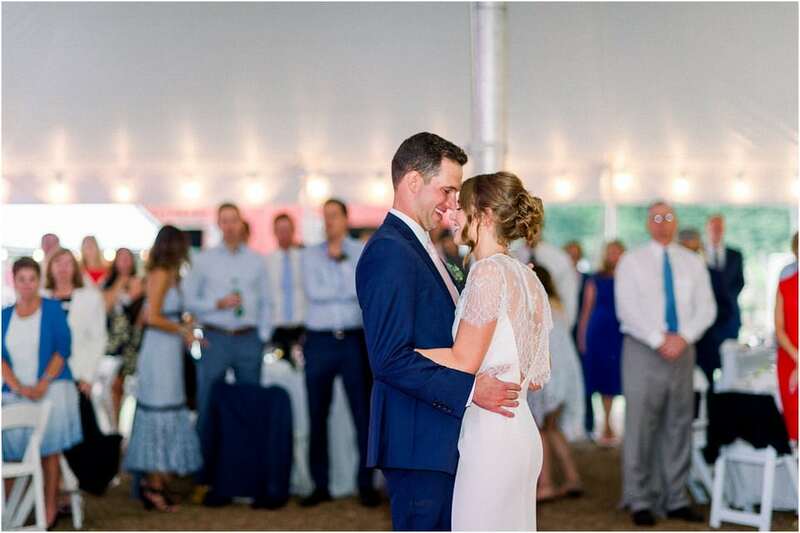 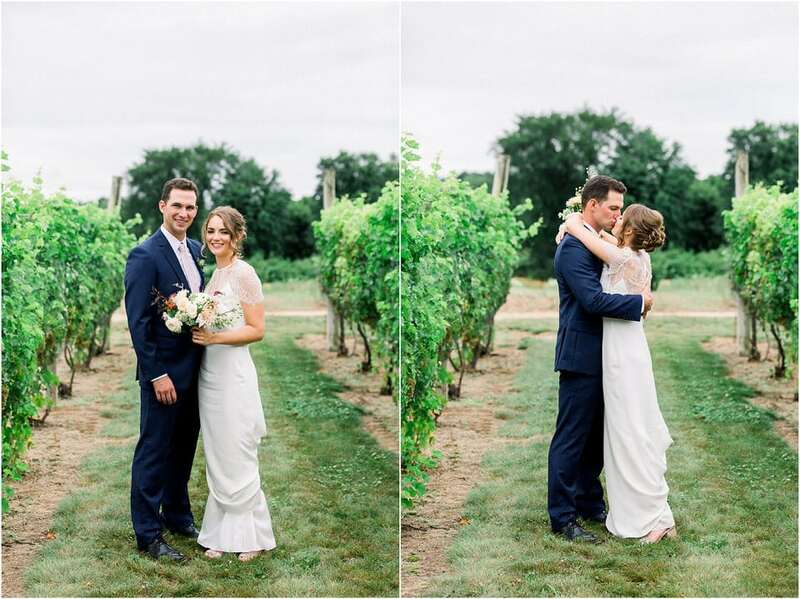 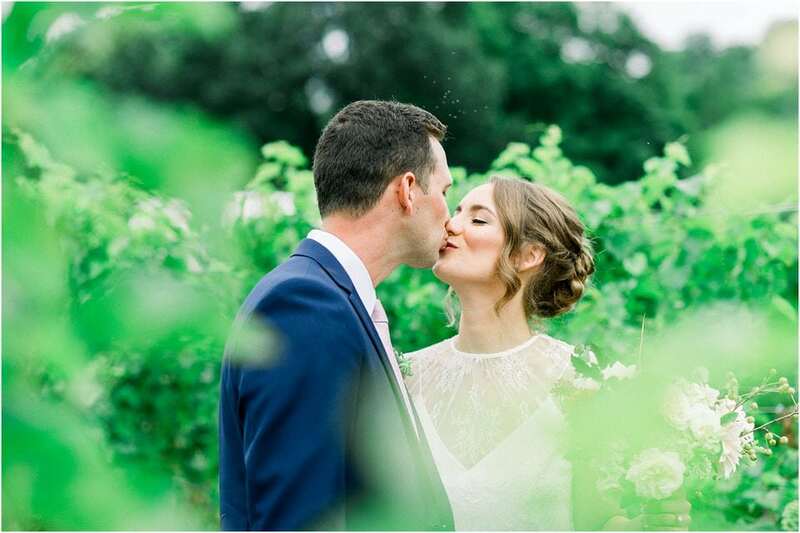 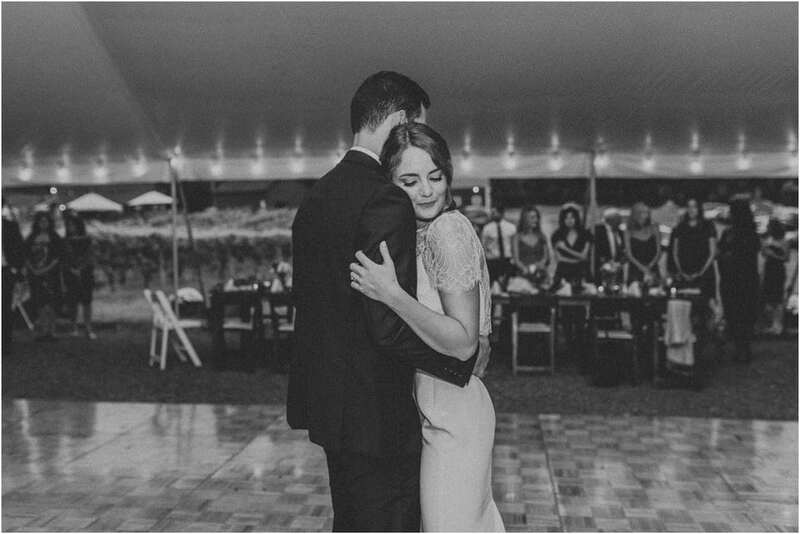 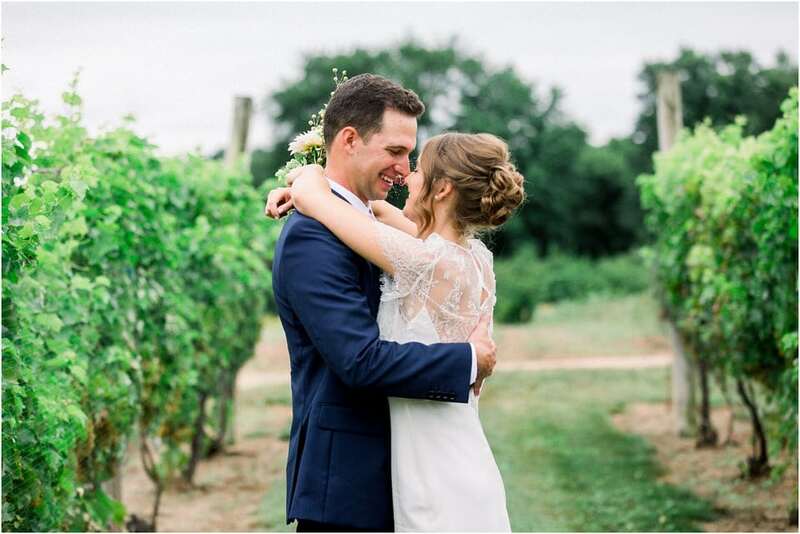 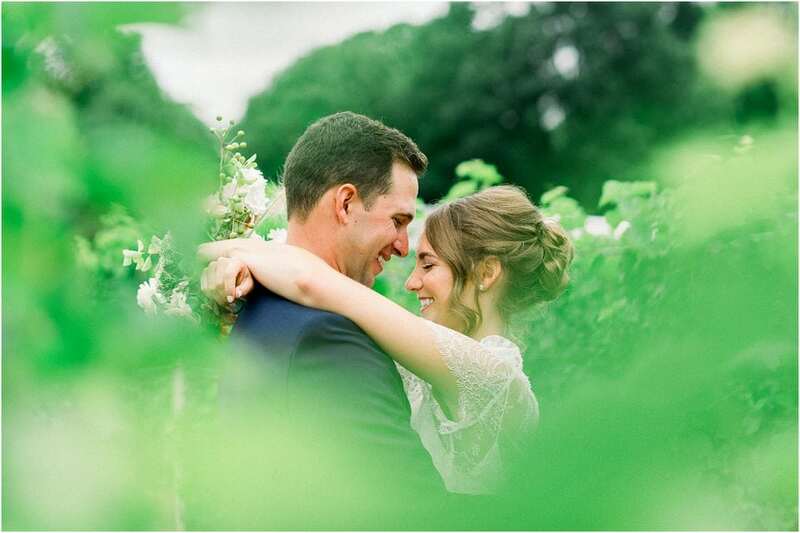 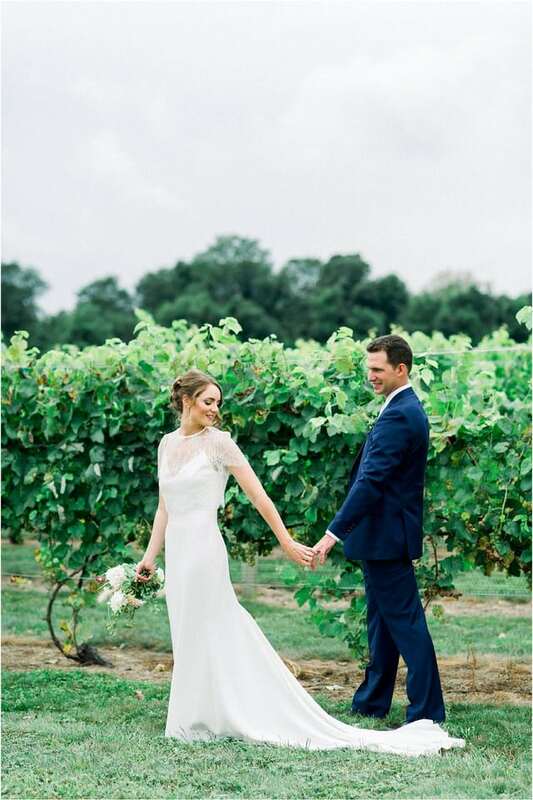 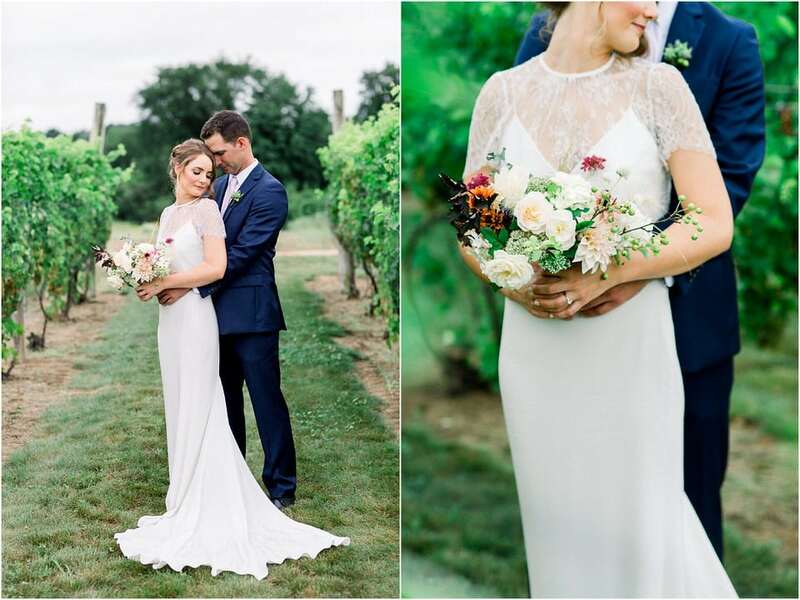 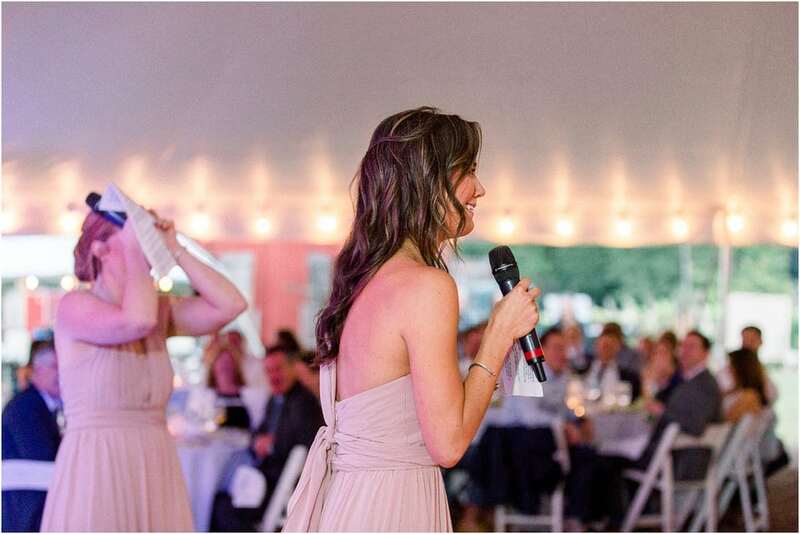 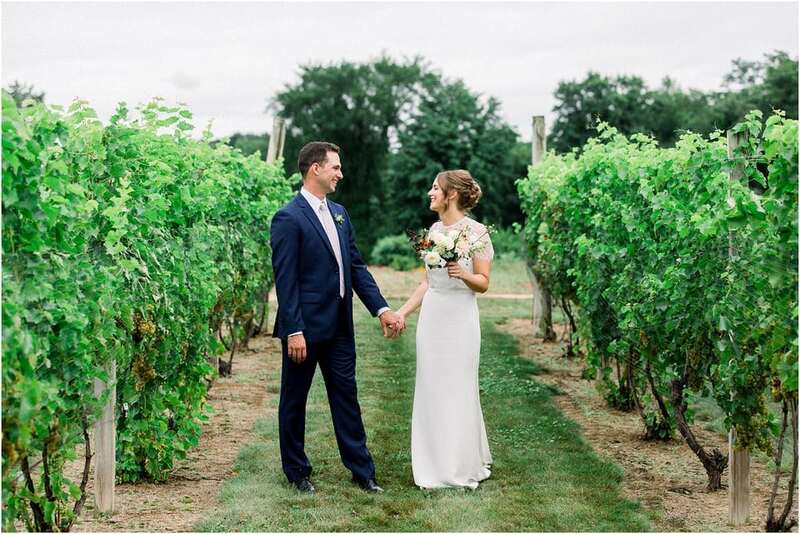 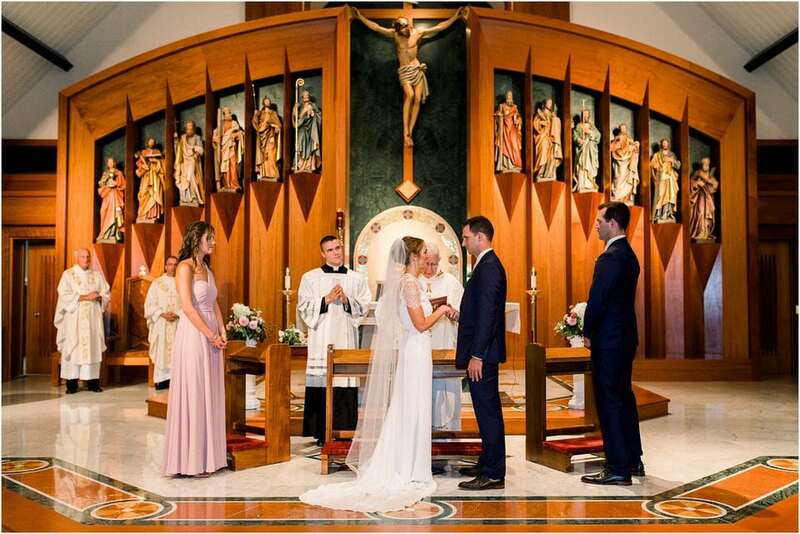 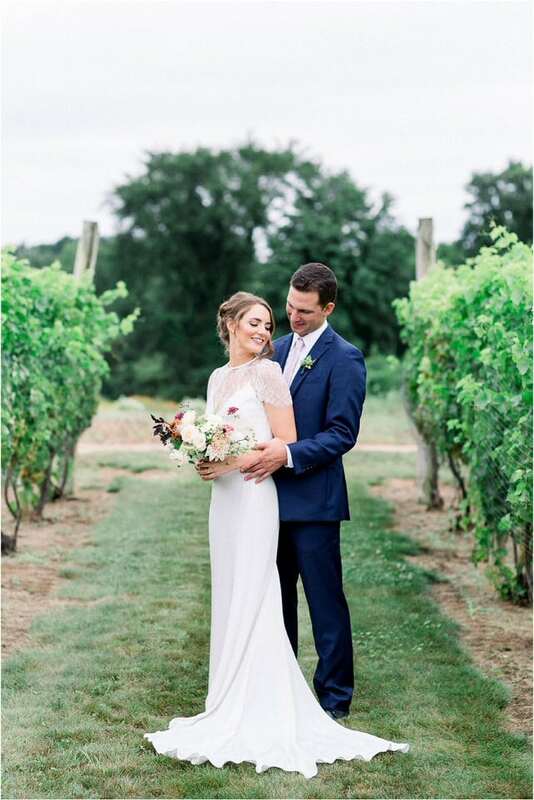 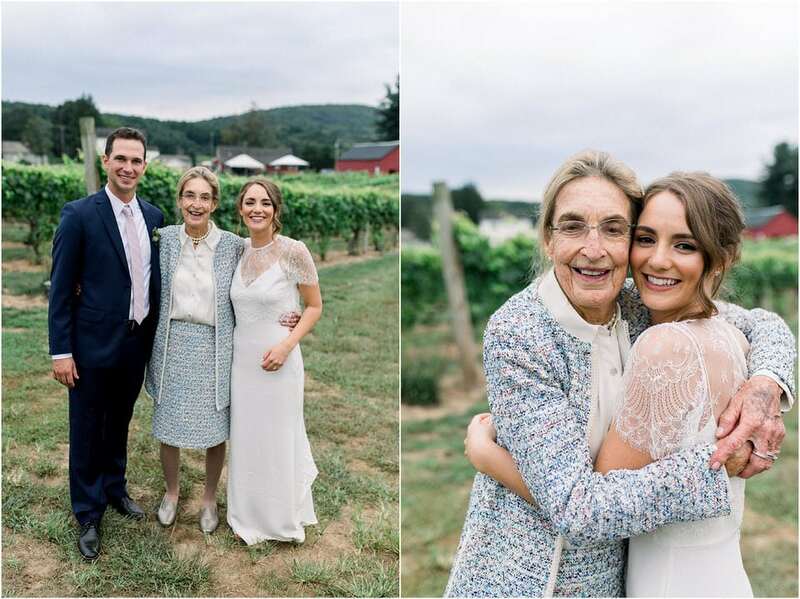 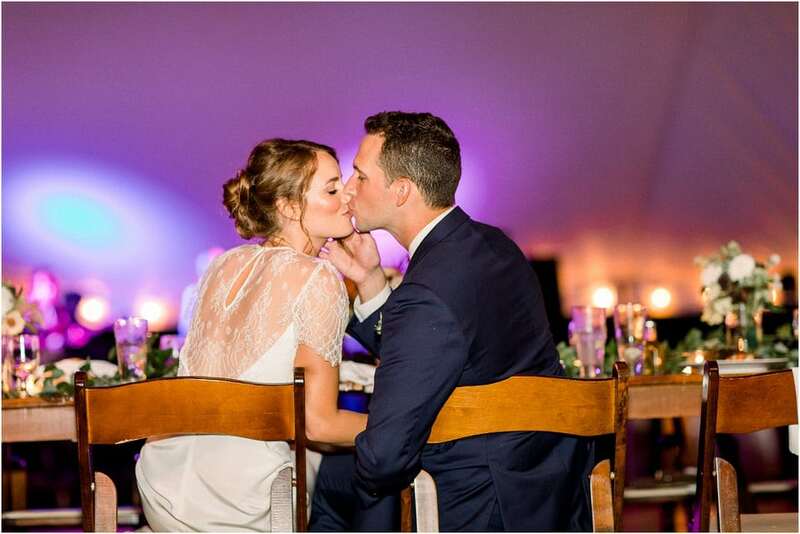 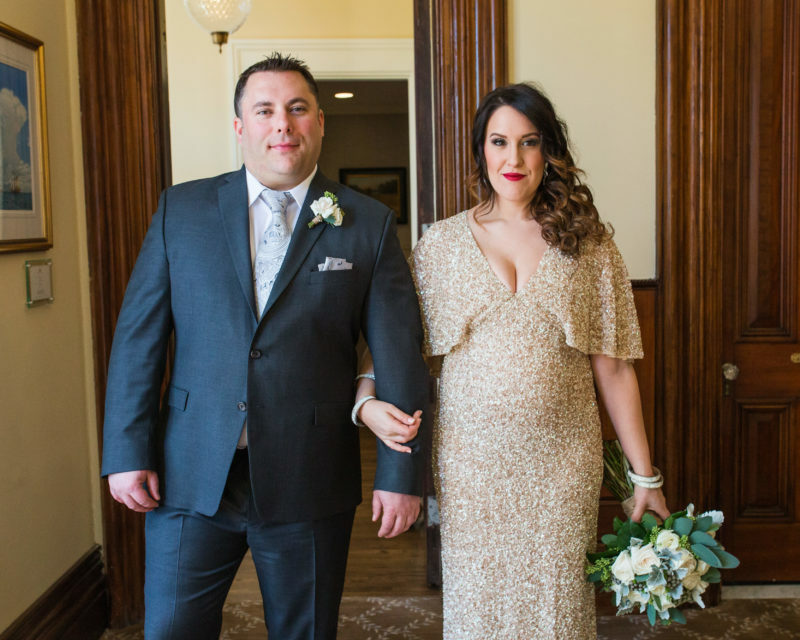 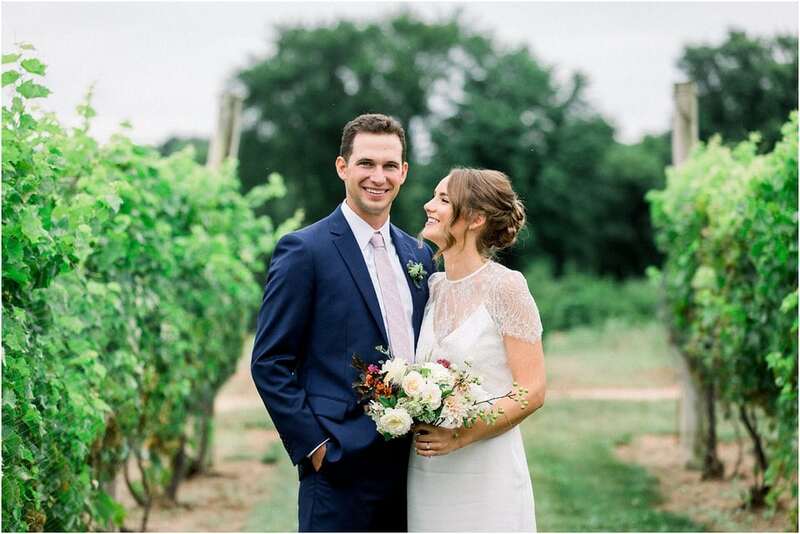 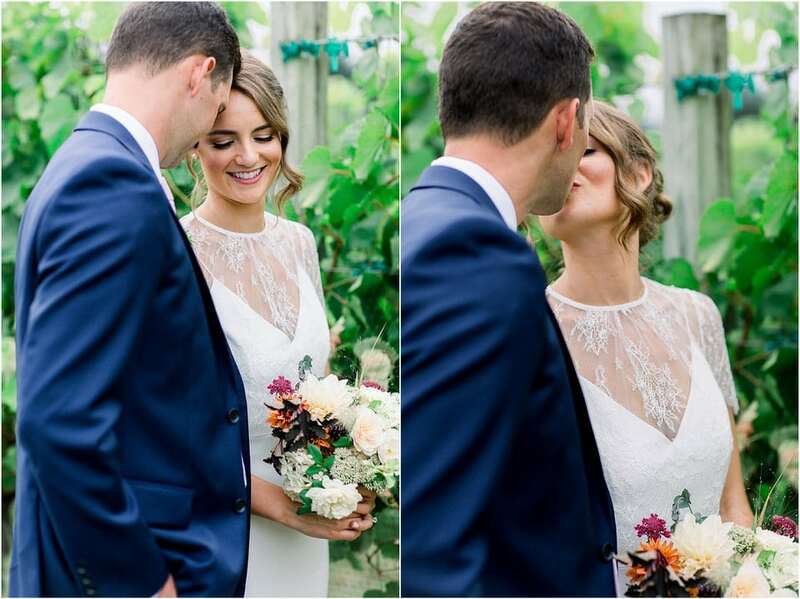 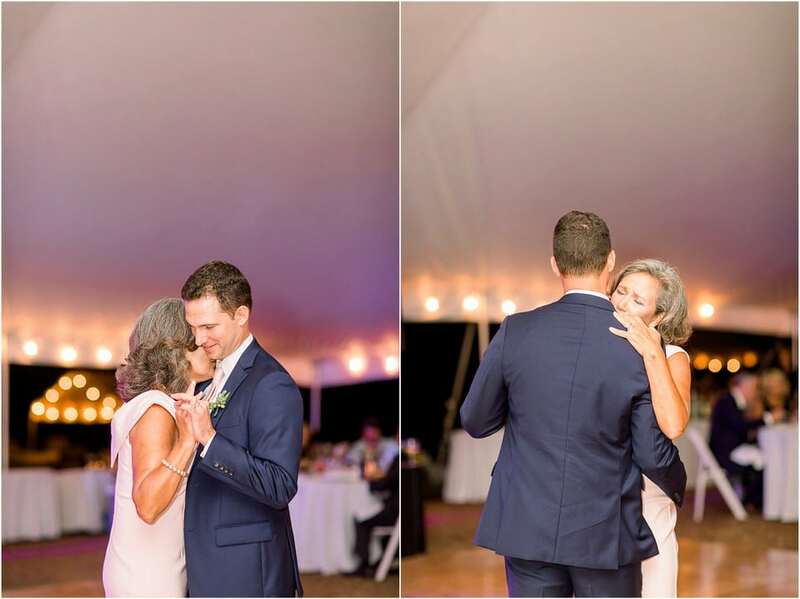 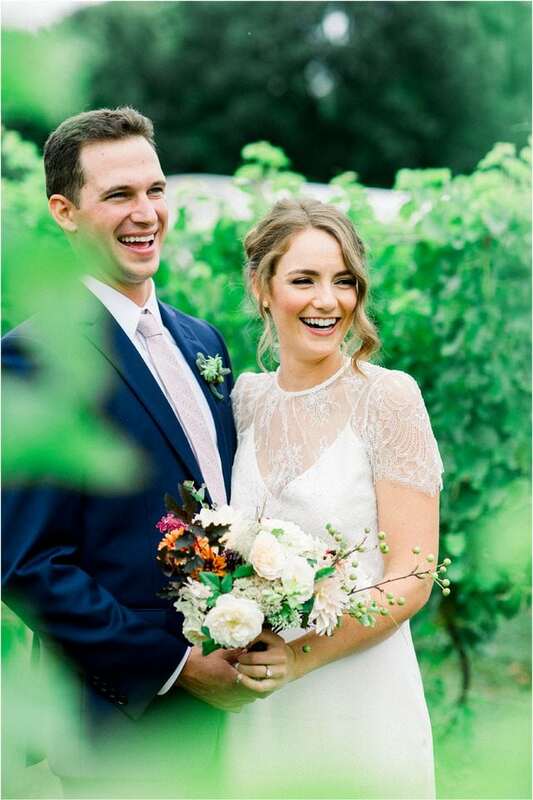 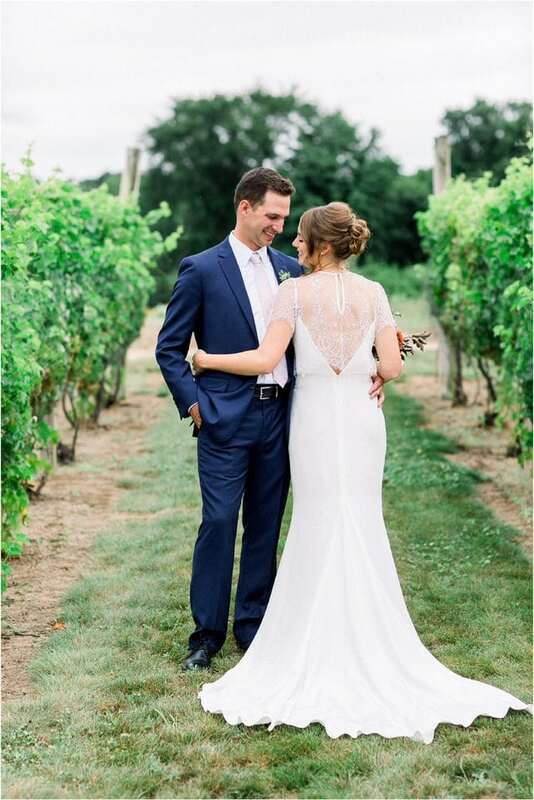 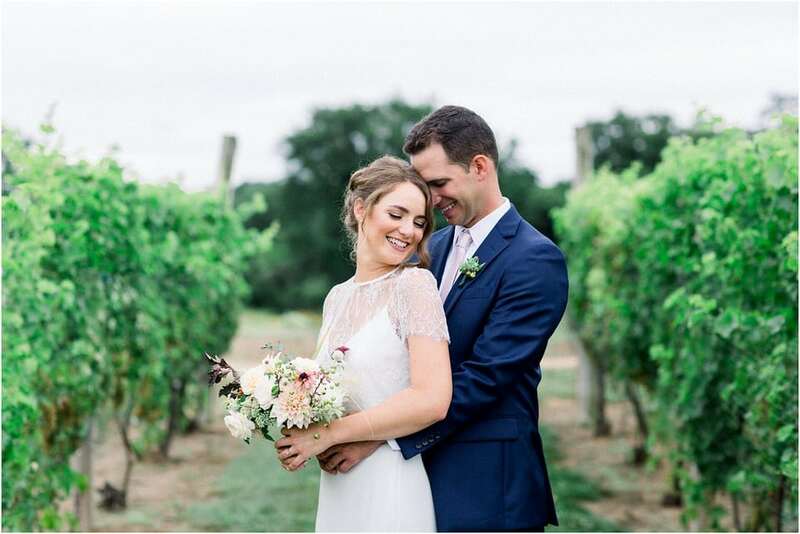 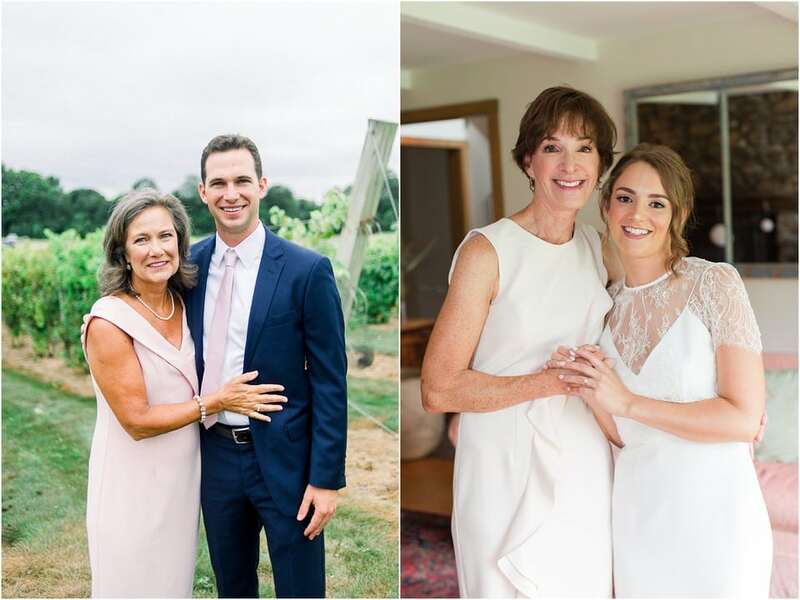 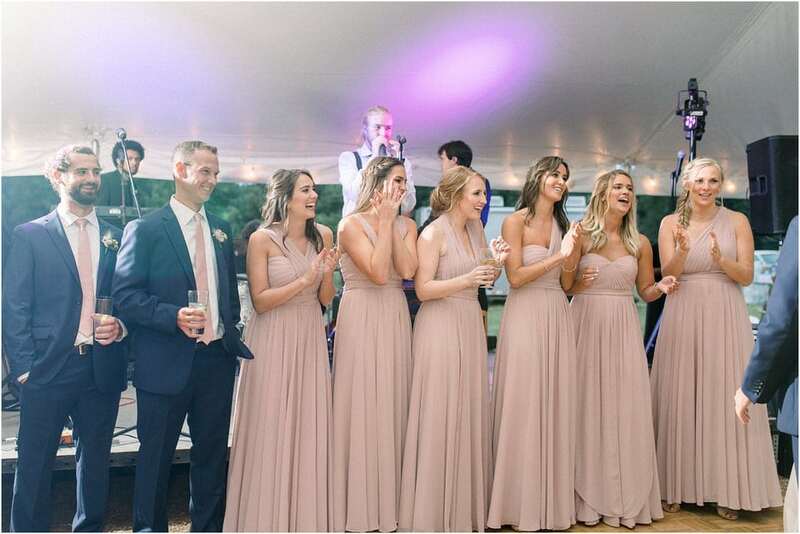 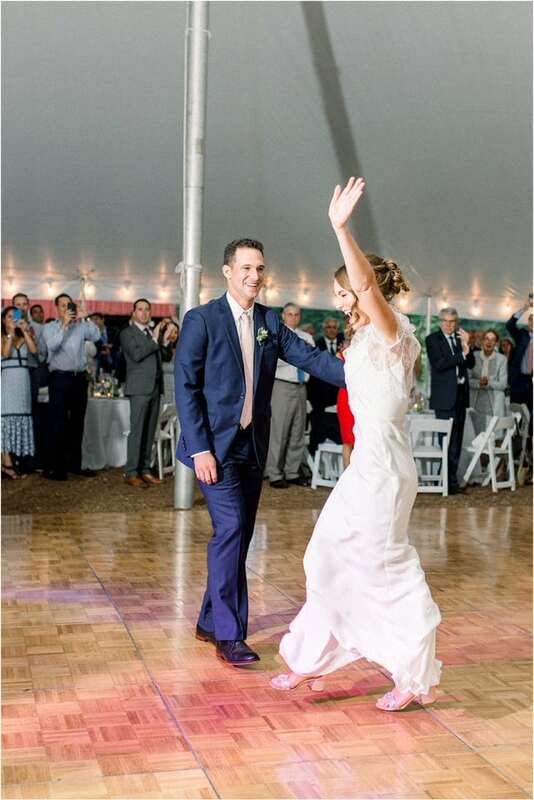 Katie and Thomas were married on September 7th with a ceremony at Church of Saint Ann and a reception at Rosedale Farm and Vineyards in Simsbury, CT.
Thomas and Katie met in high-school and have nurtured a ten year relationship ever since. 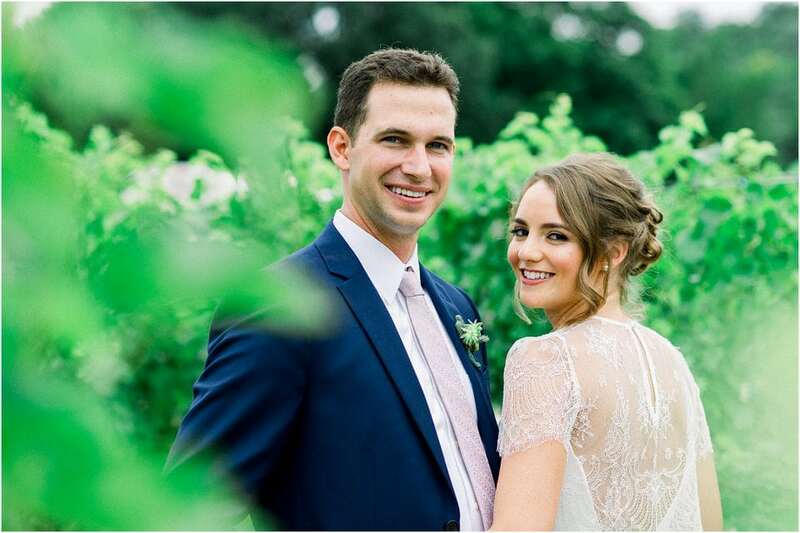 They both played sports in college which is very demanding and still managed to put each-other first. 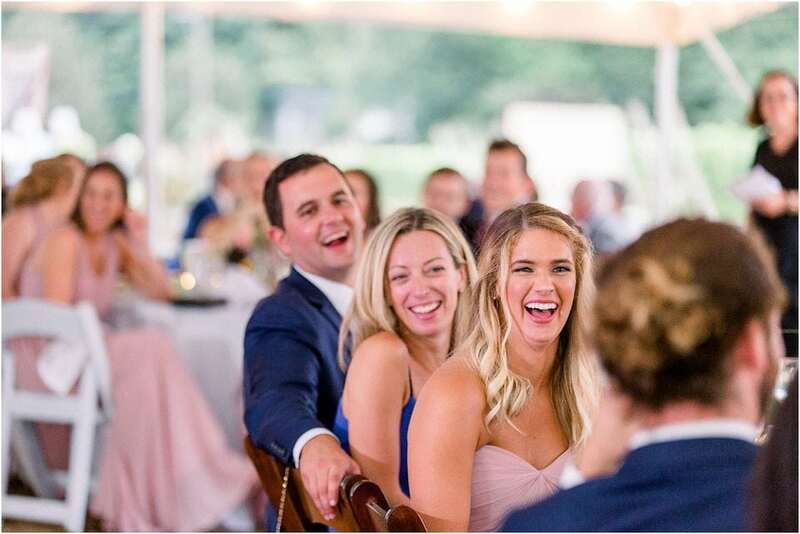 Katie loves that Thomas knows how to always make her laugh and Thomas loves Katies bubbly personality that can put a smile on anyones face. 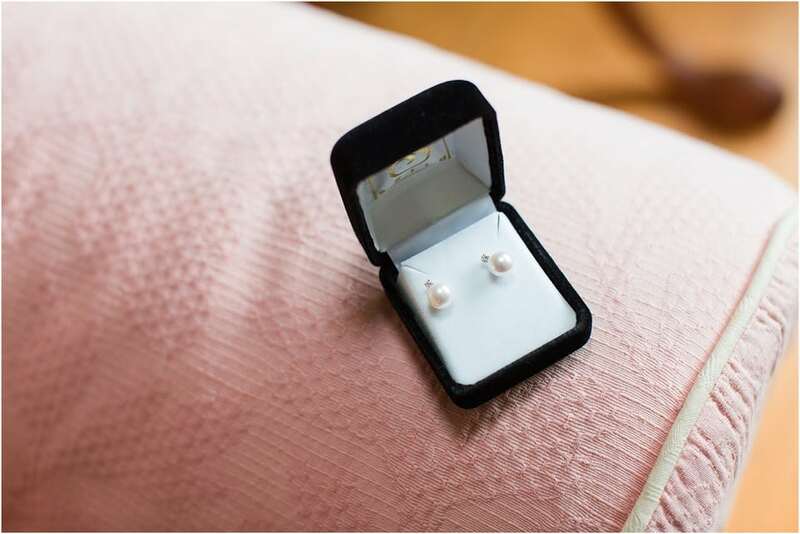 Fast forward to the proposal. 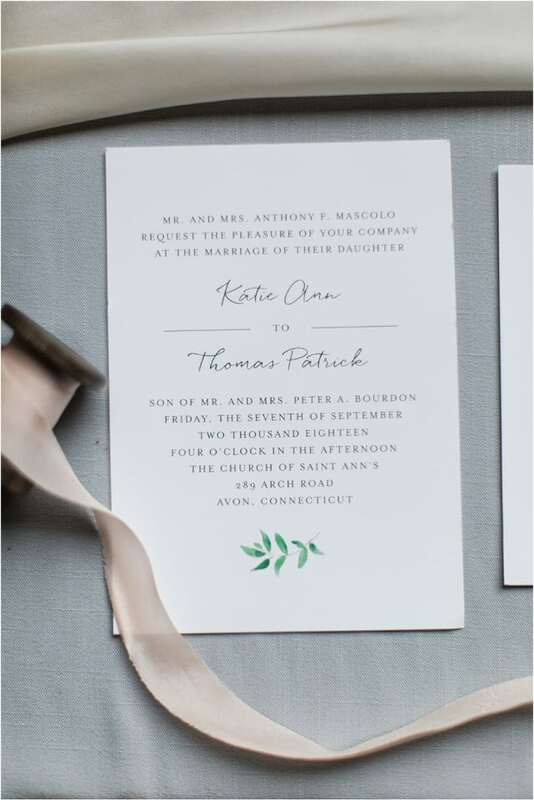 Thomas planned to propose to Katie while they were both back home in CT for the Easter Holiday. 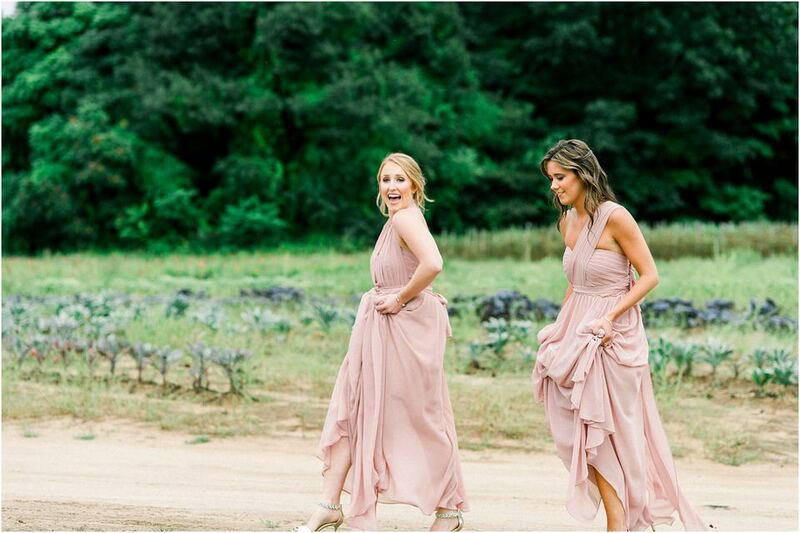 They went for a hike with their pup Carl, which is something that they frequently do. 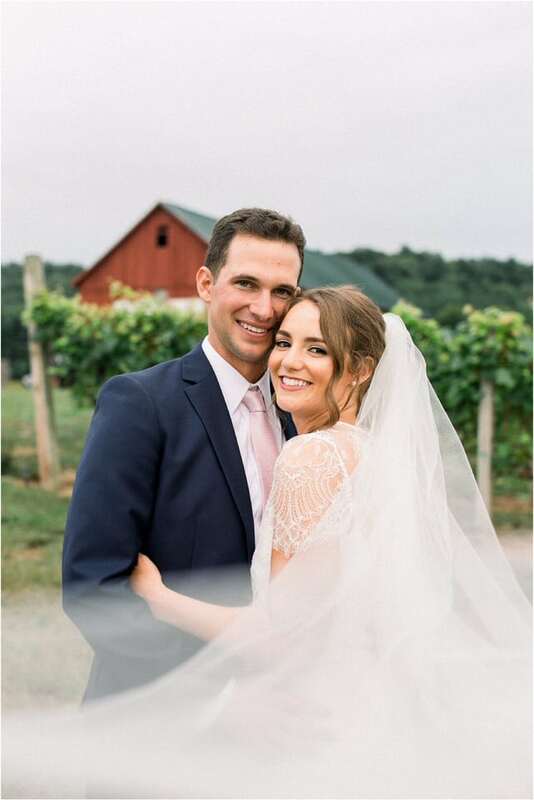 When they got to the top peak looking over Tom’s childhood town, he dropped to one knee and proposed to the love of his life! 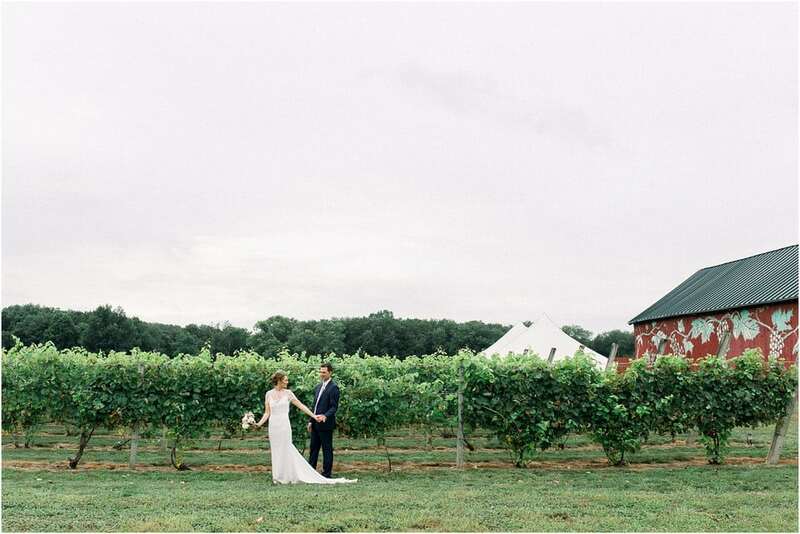 Their wedding day started with a few morning sprinkles but cleared up just in the nick of time. 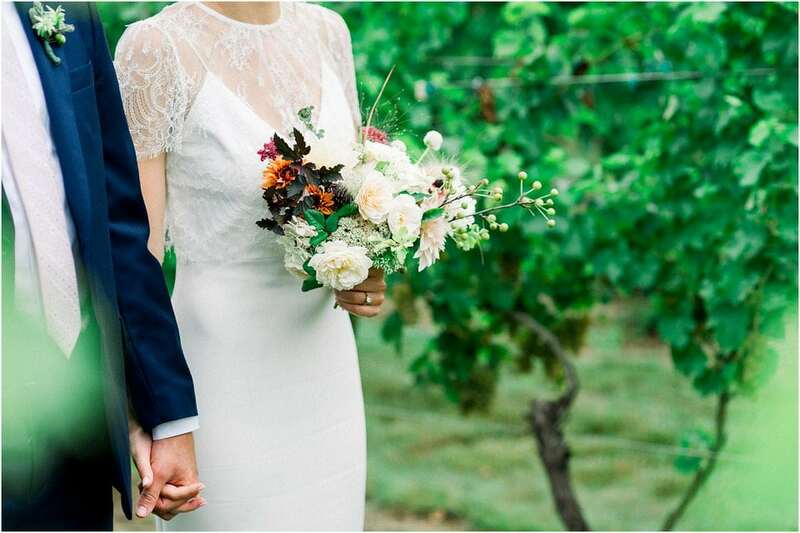 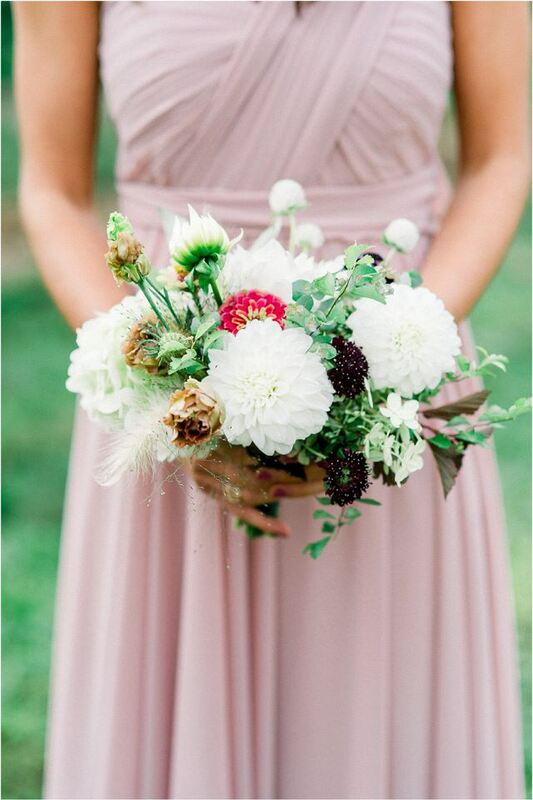 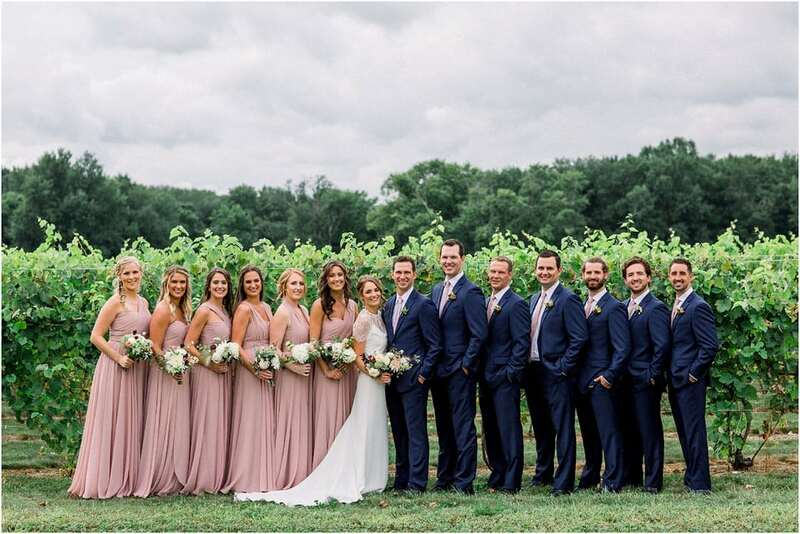 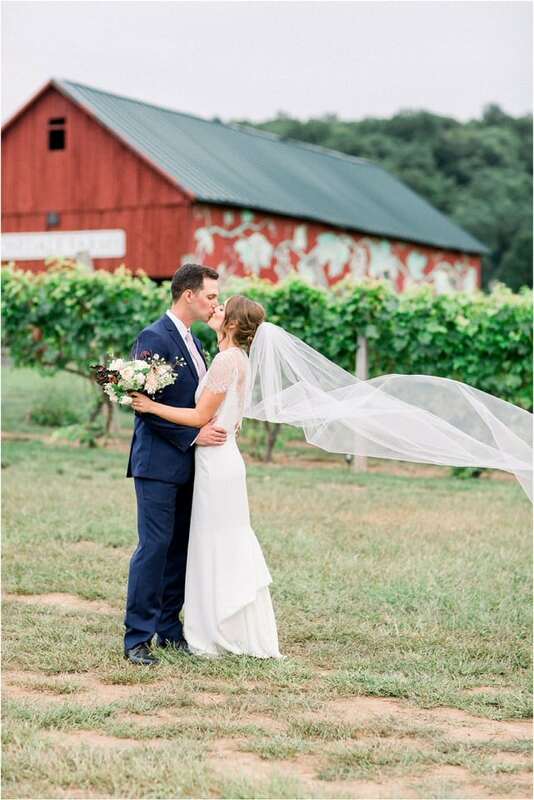 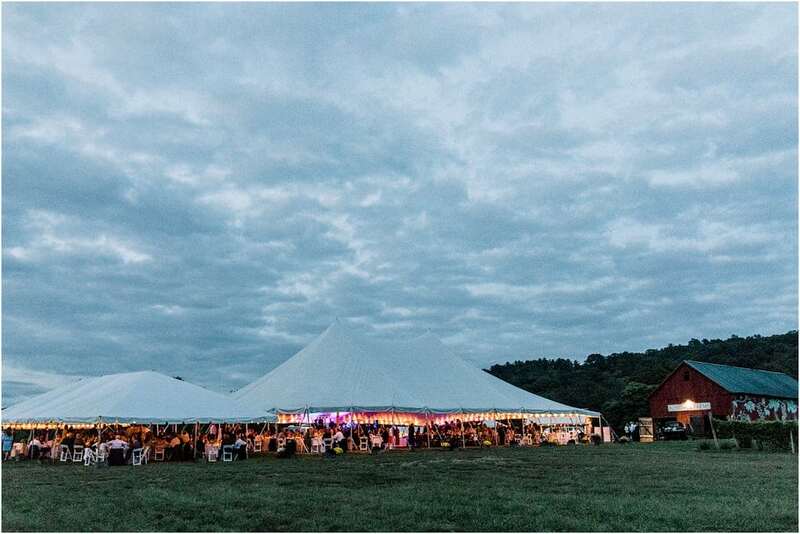 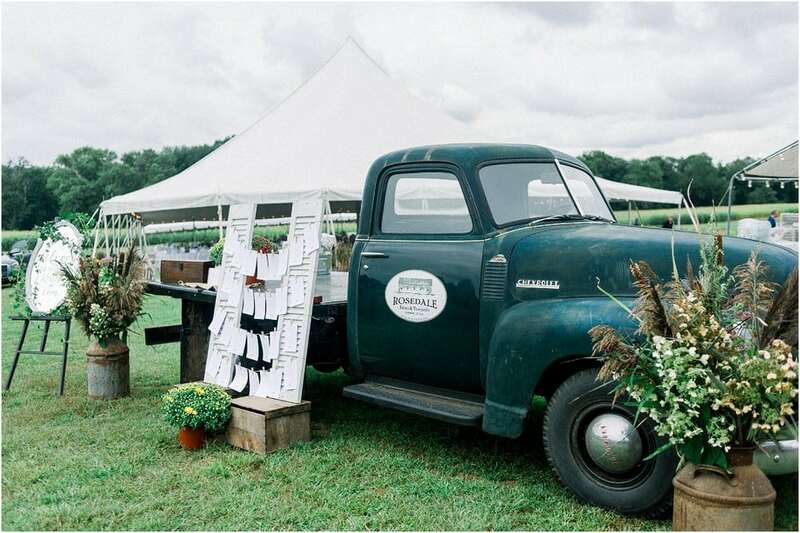 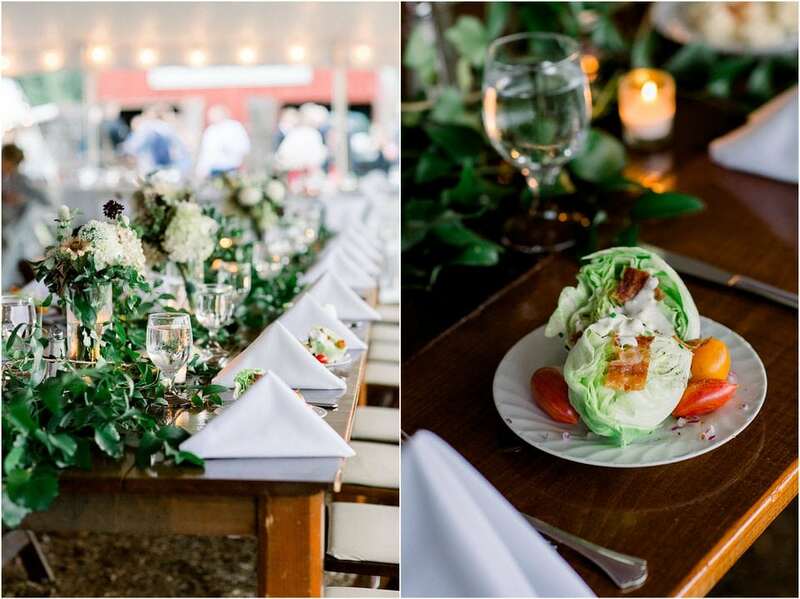 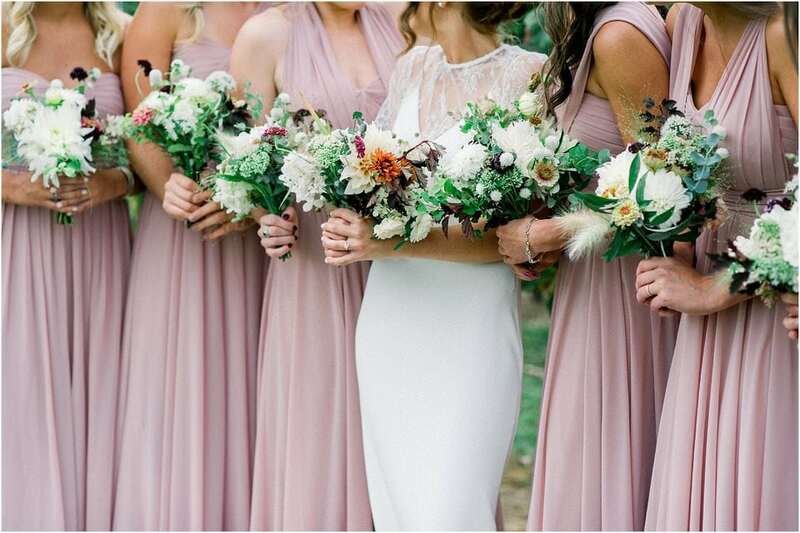 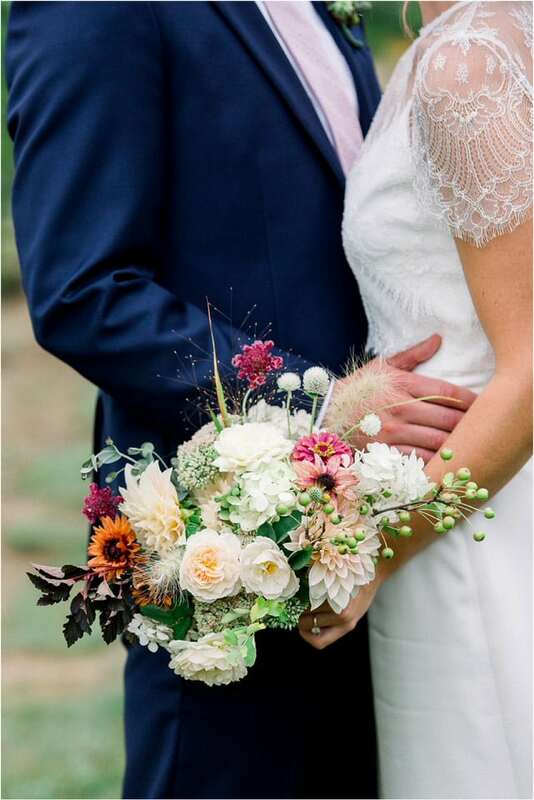 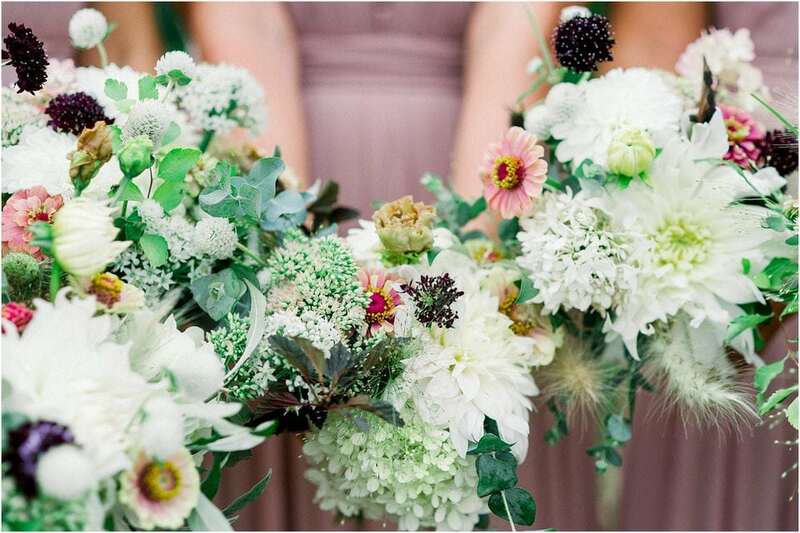 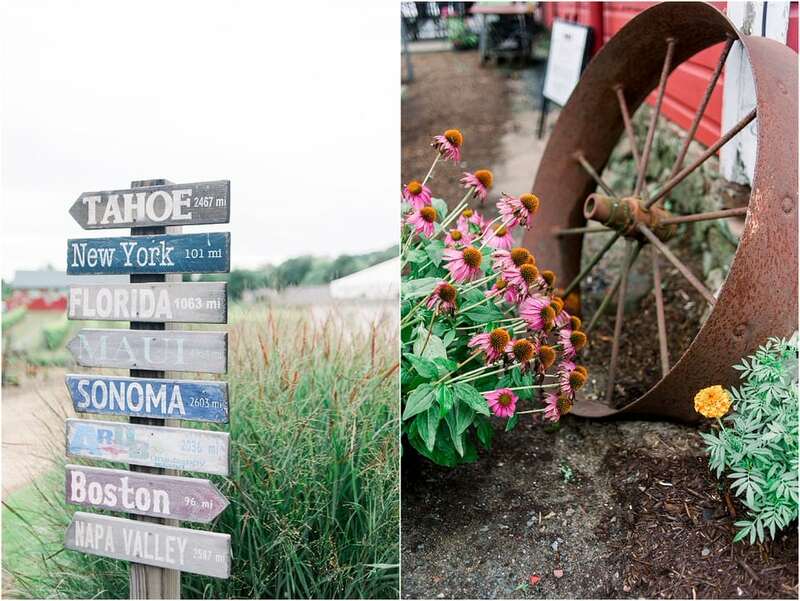 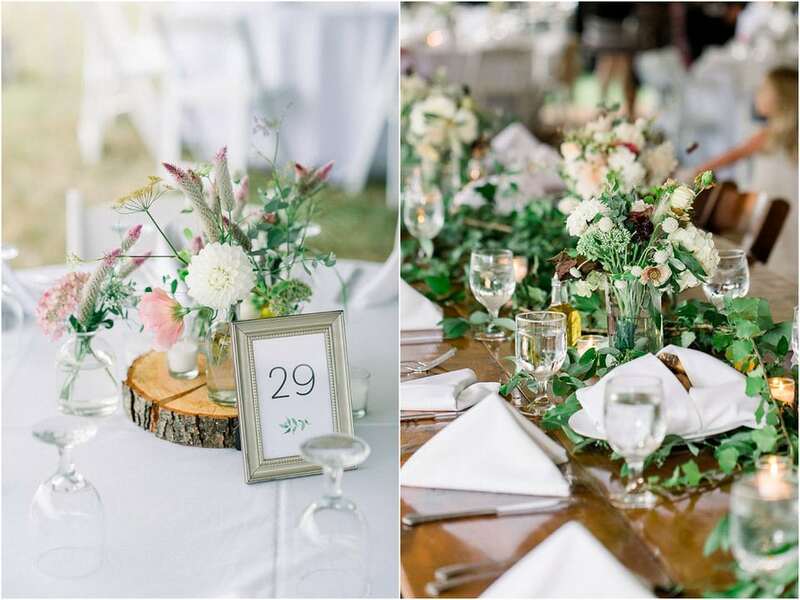 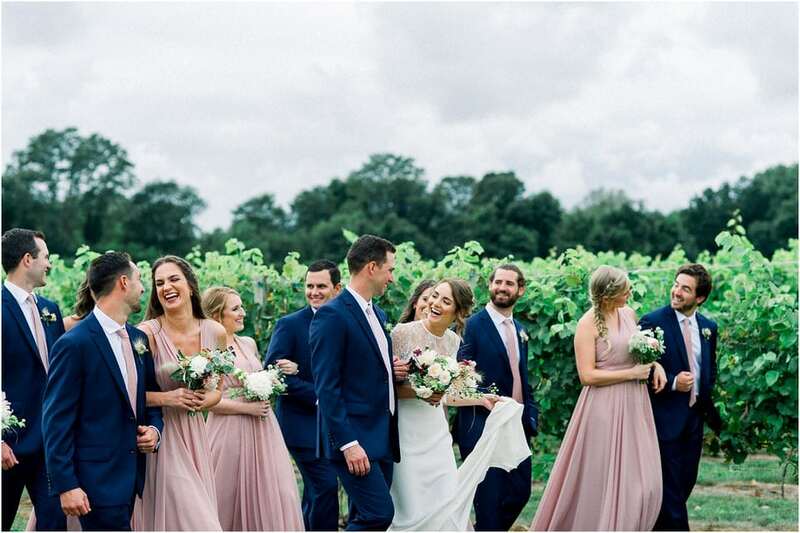 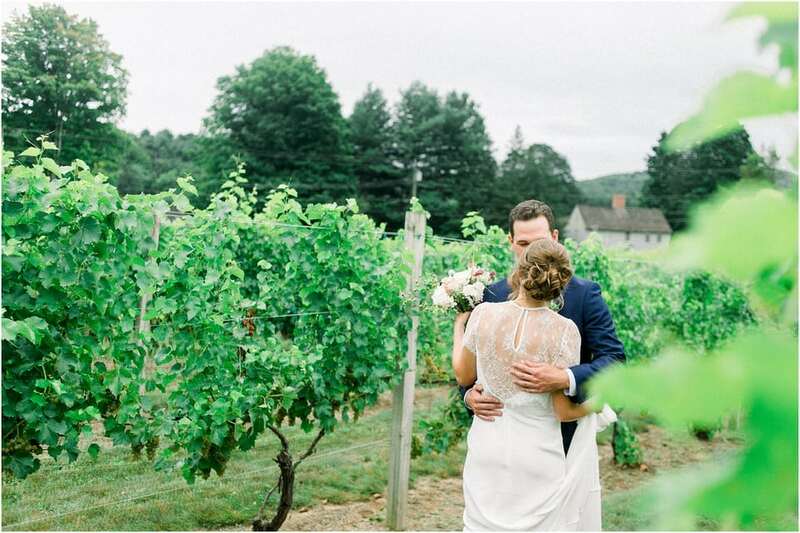 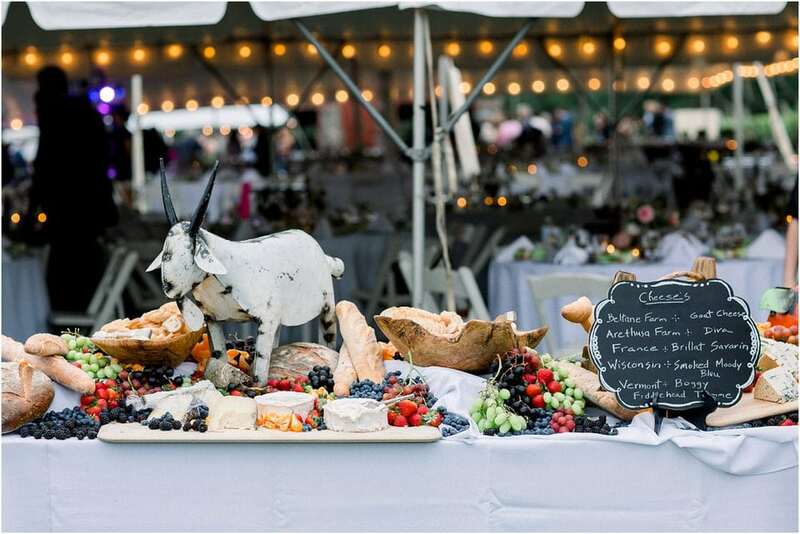 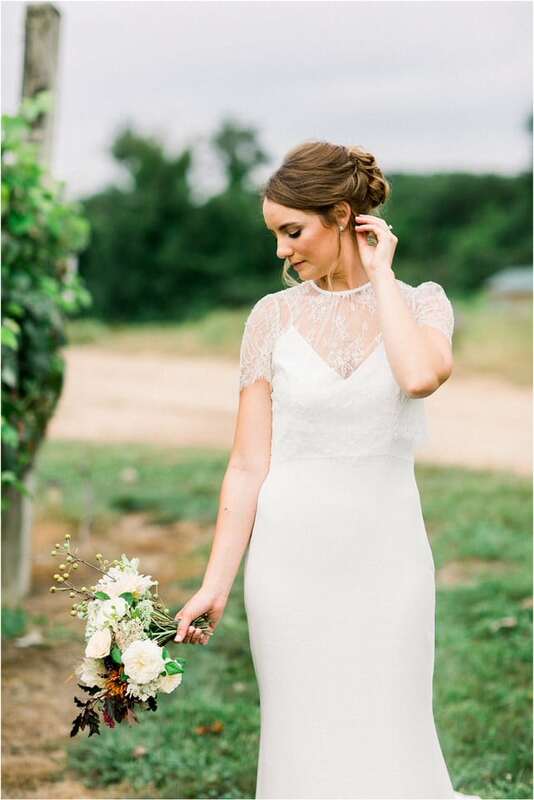 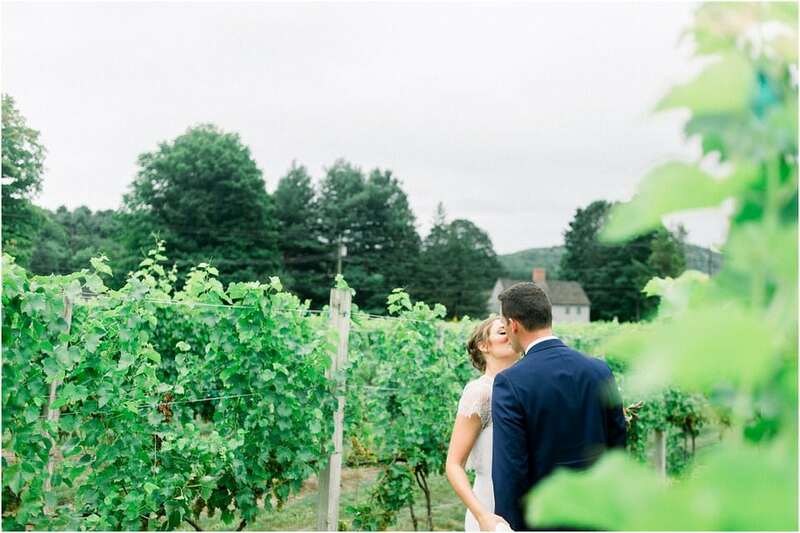 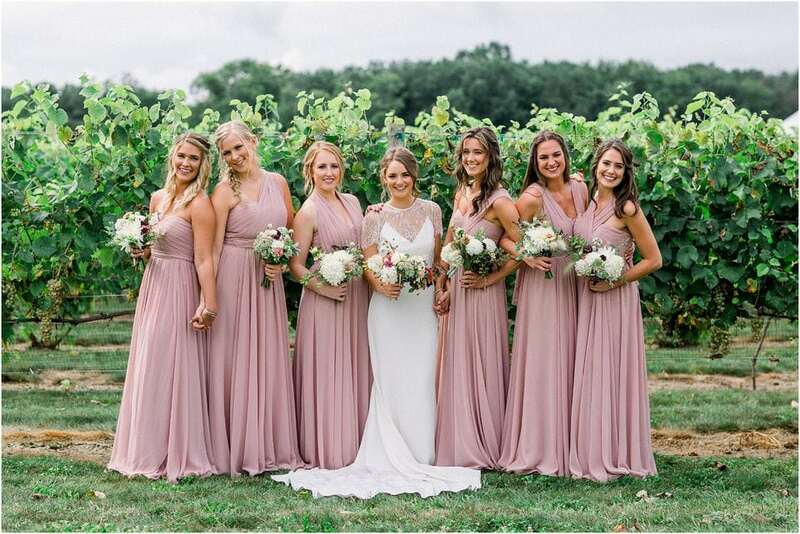 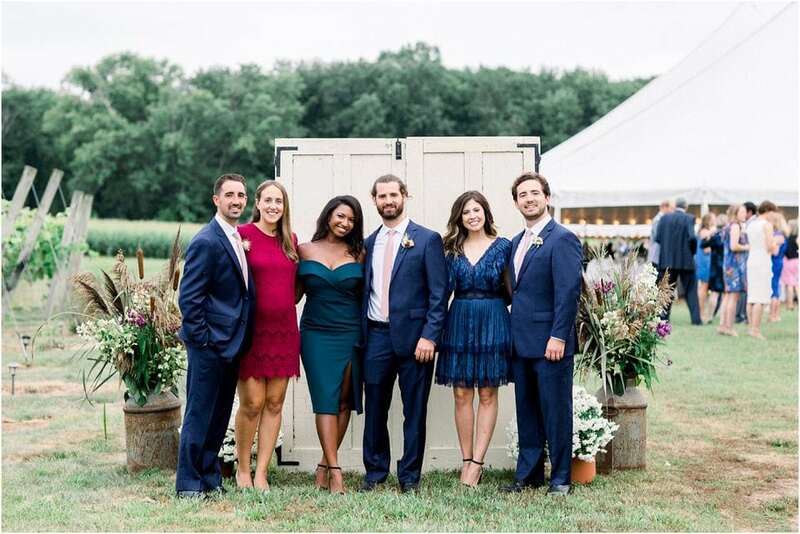 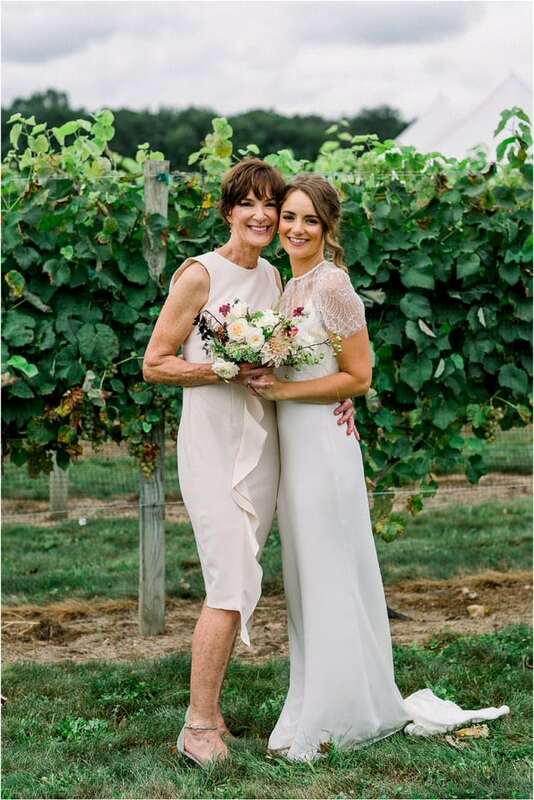 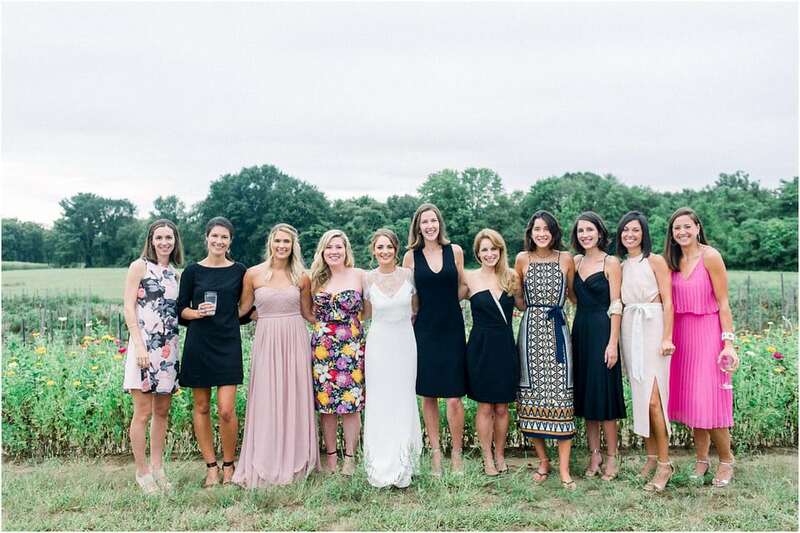 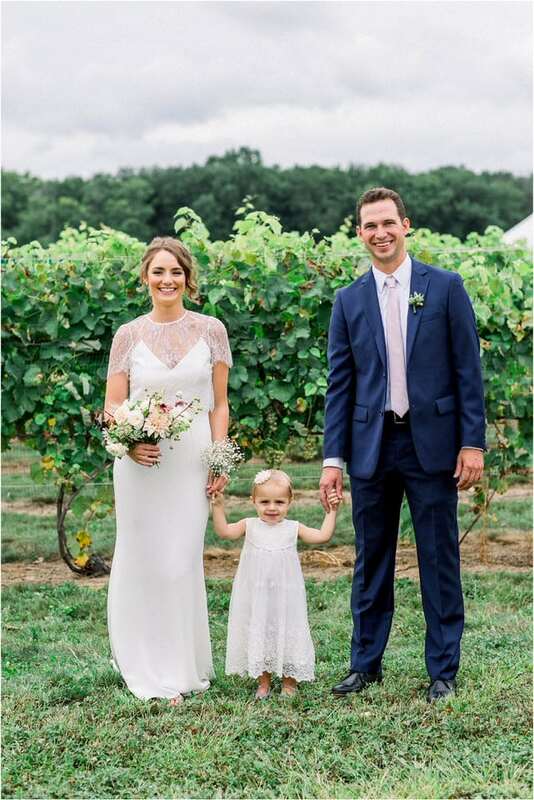 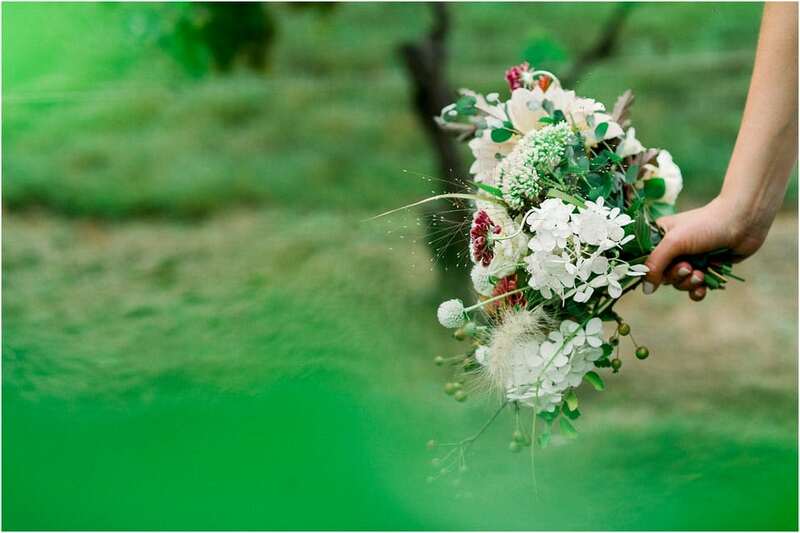 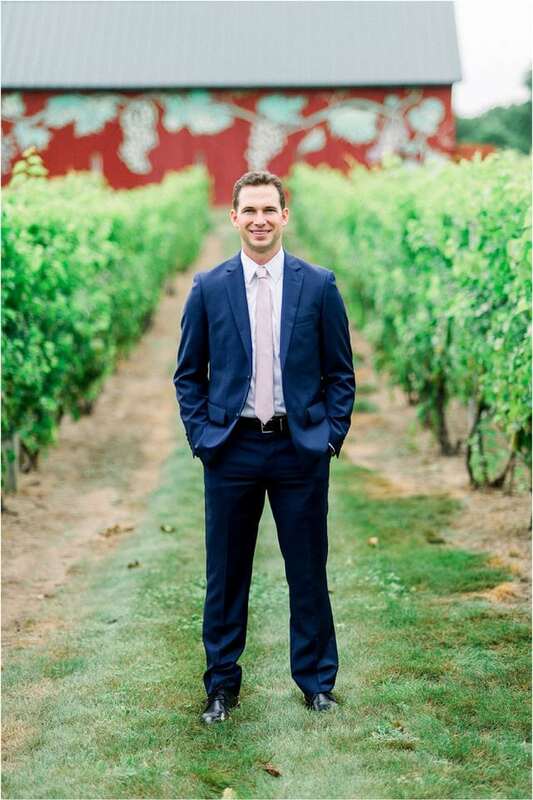 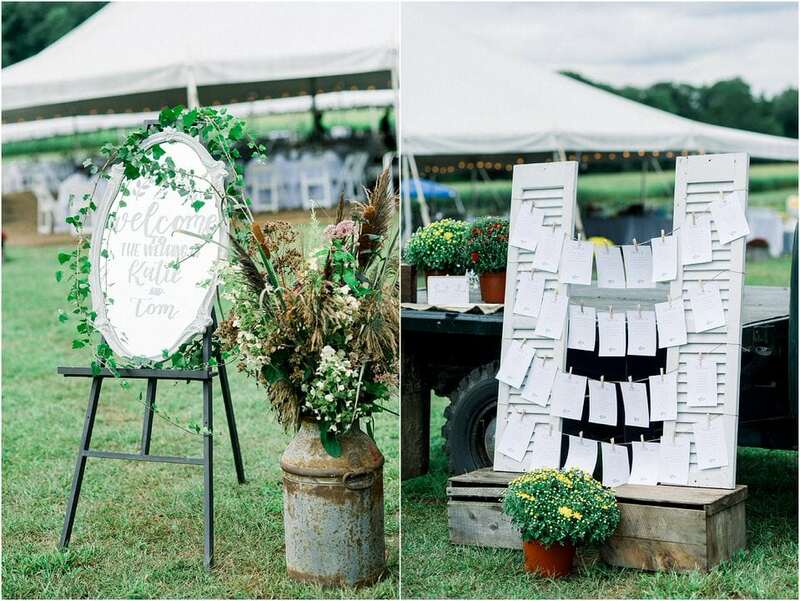 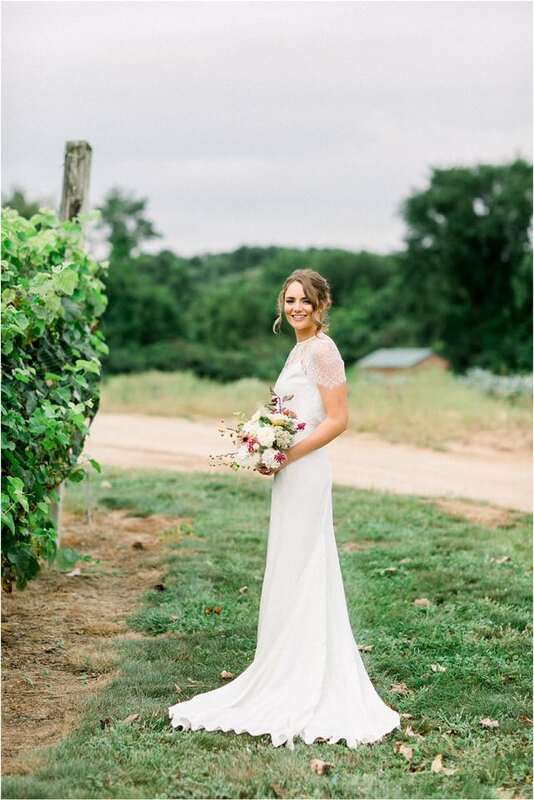 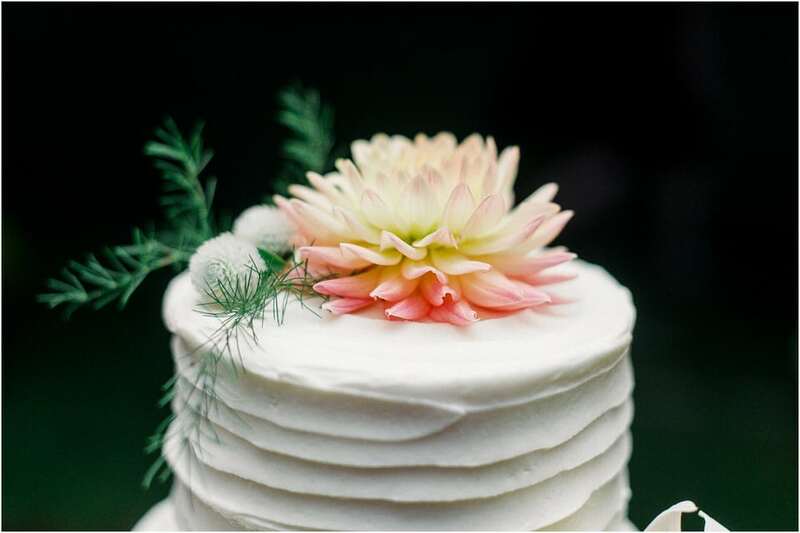 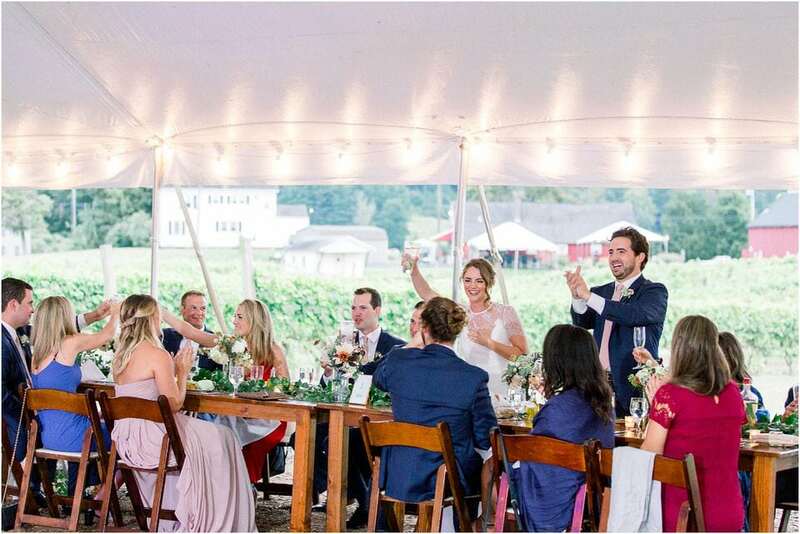 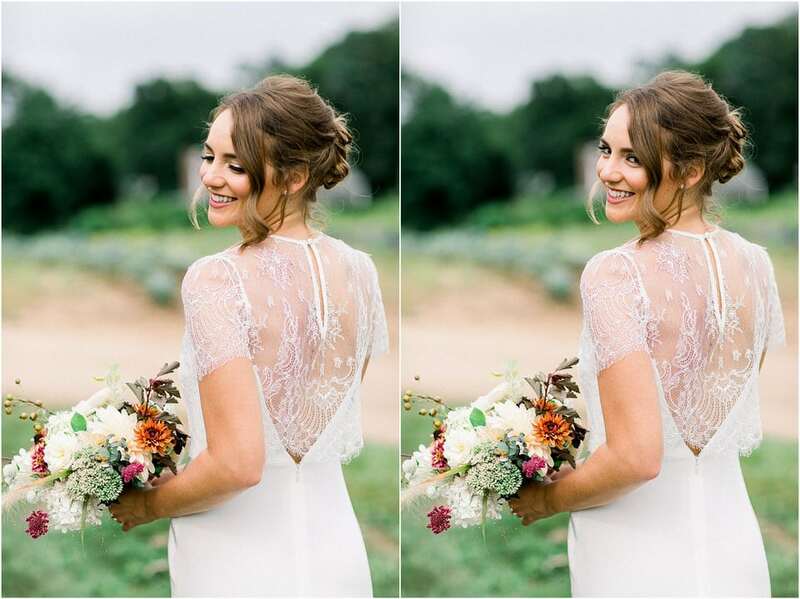 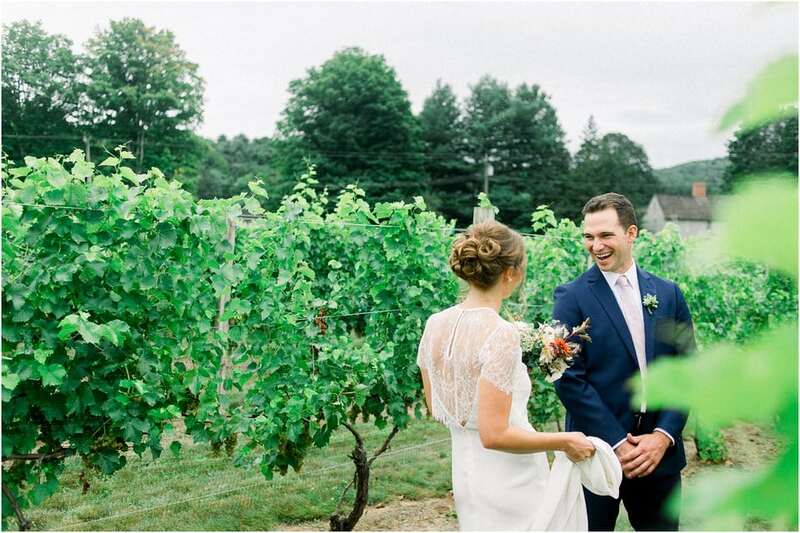 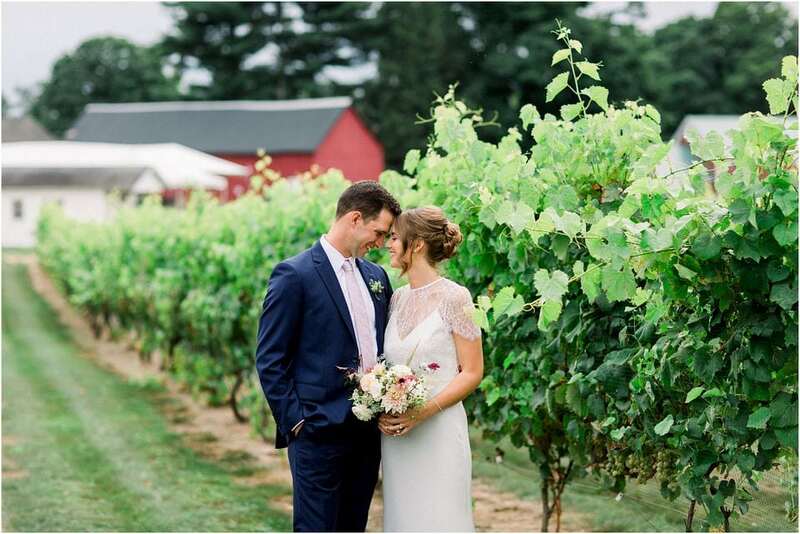 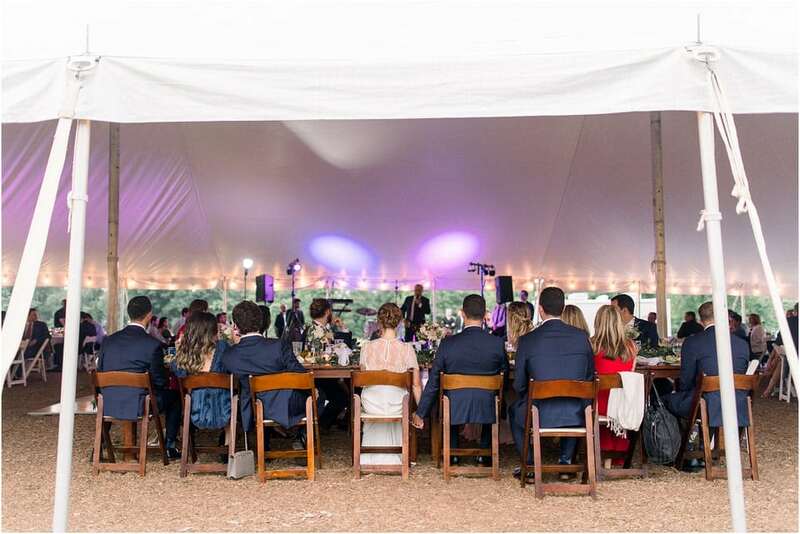 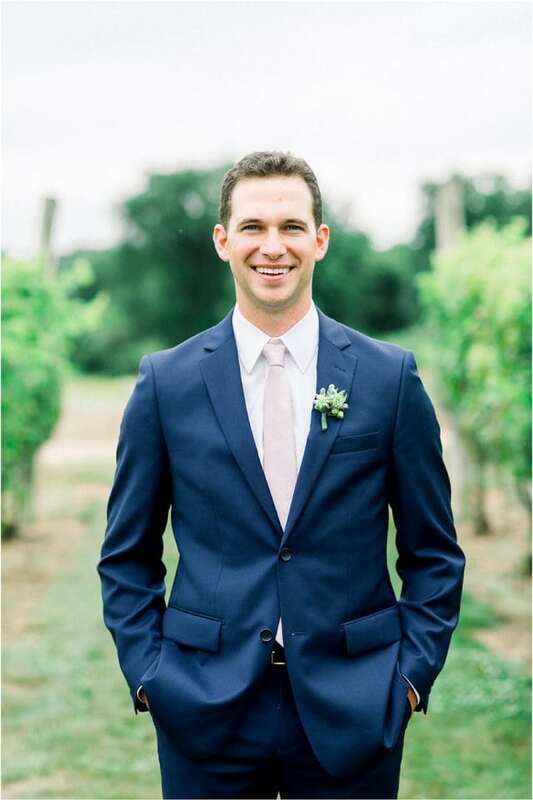 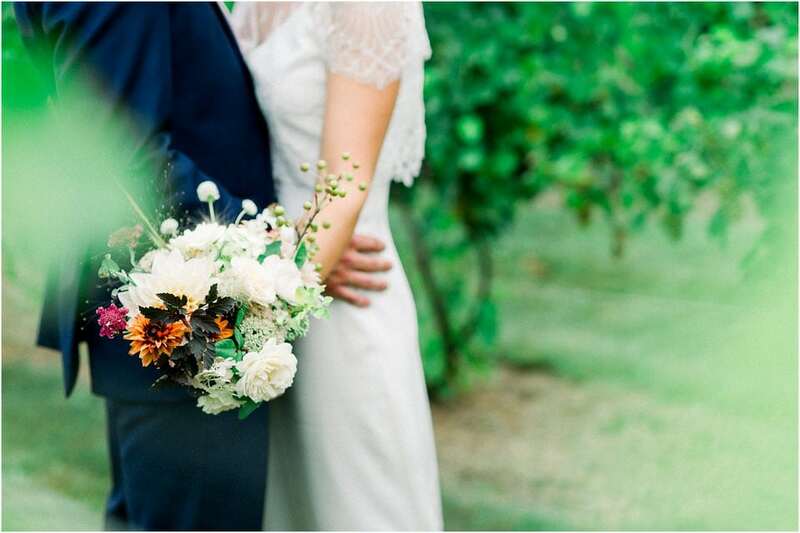 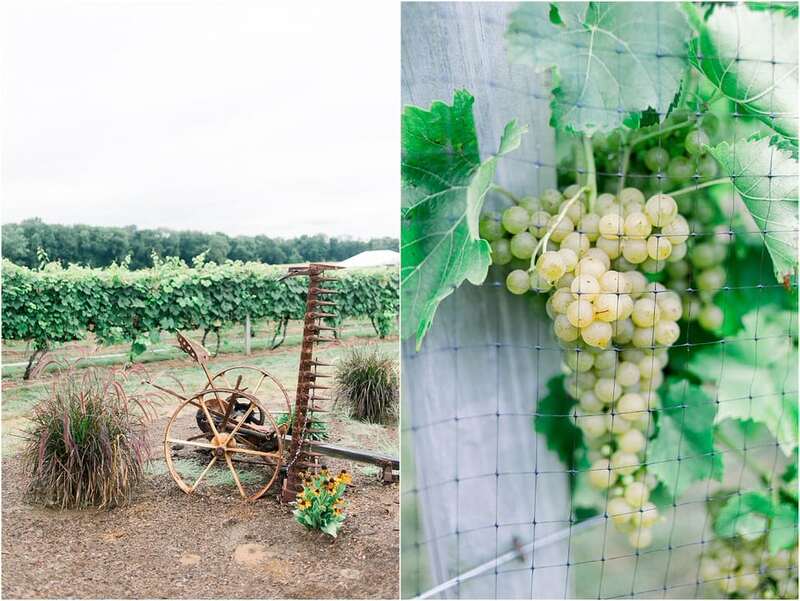 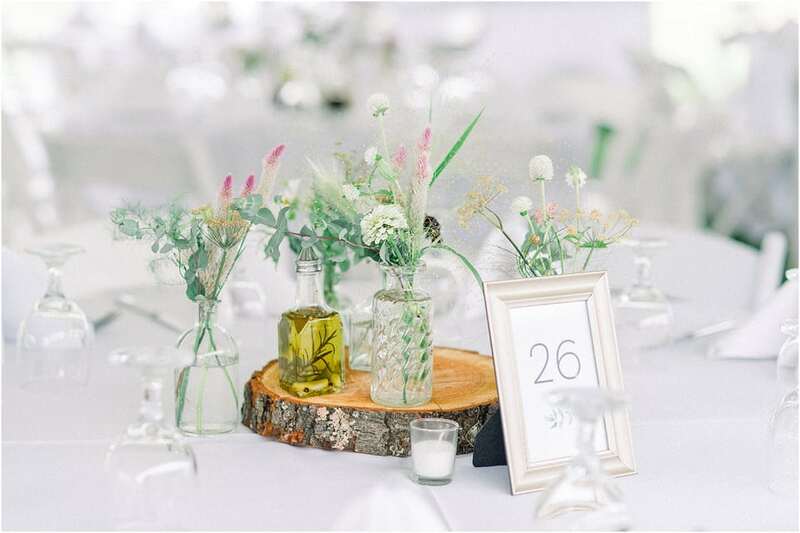 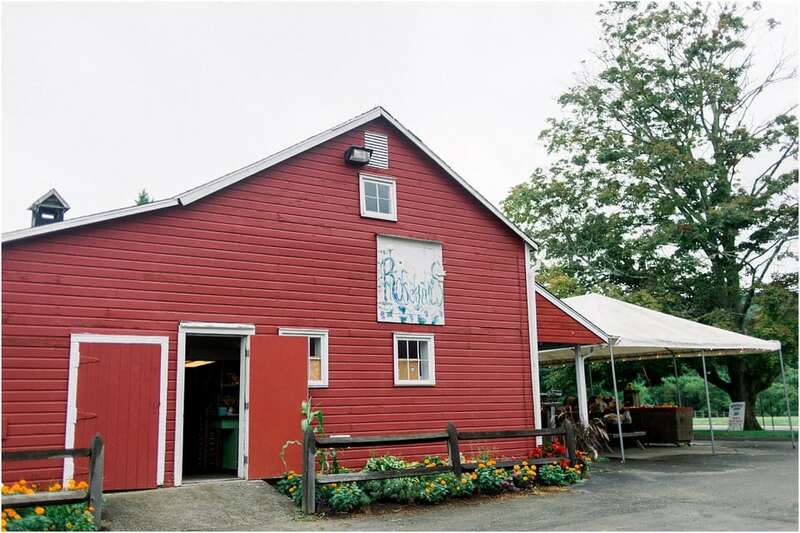 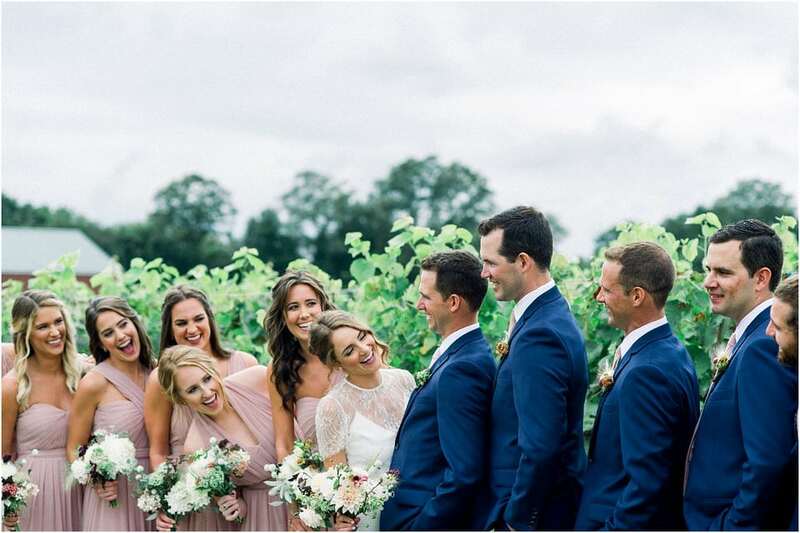 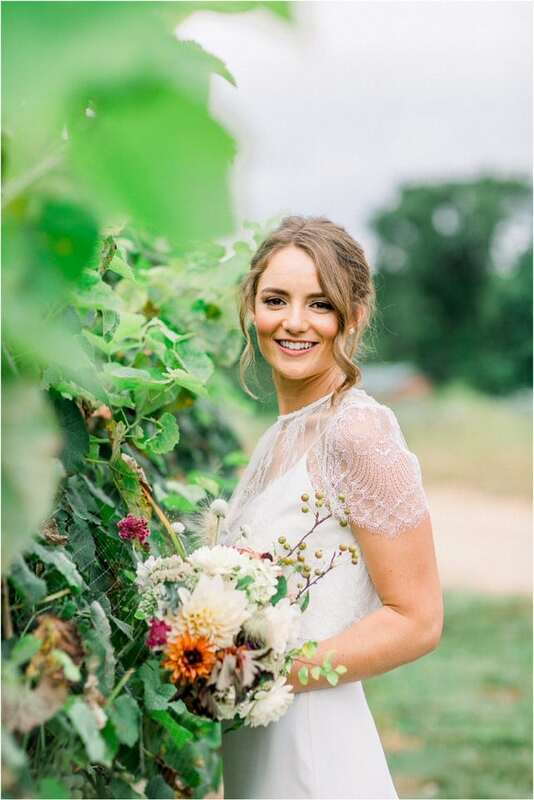 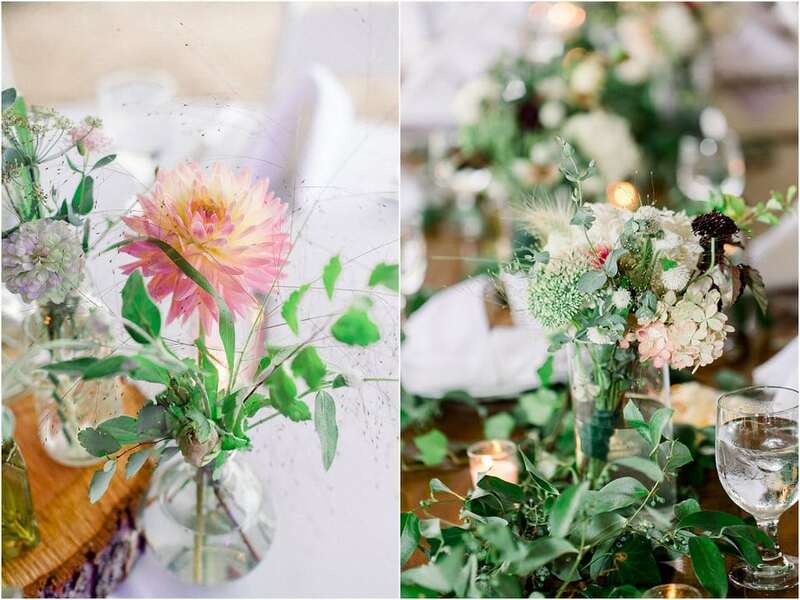 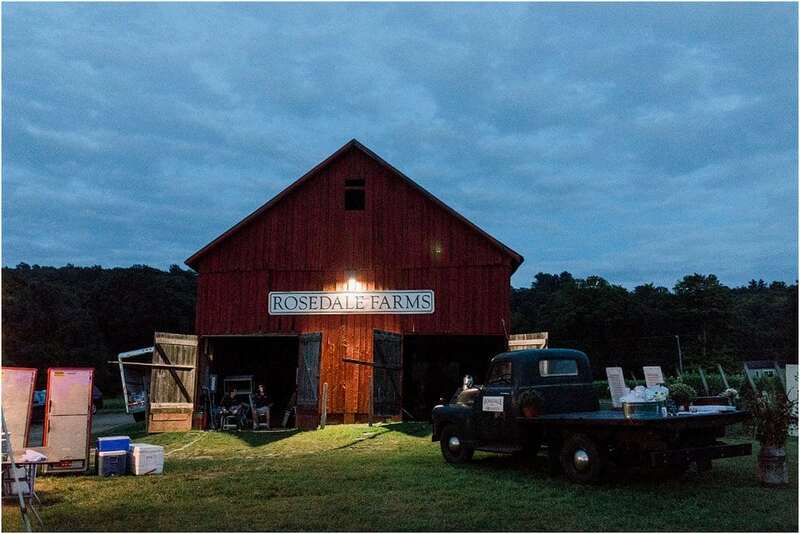 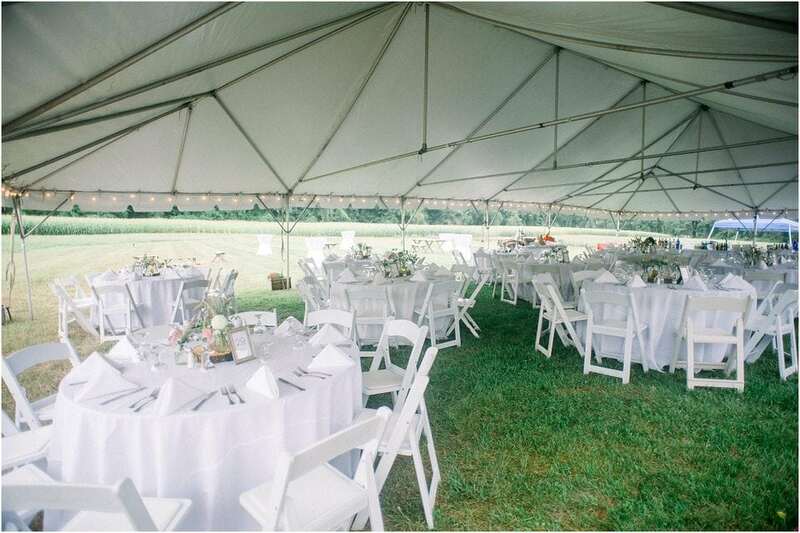 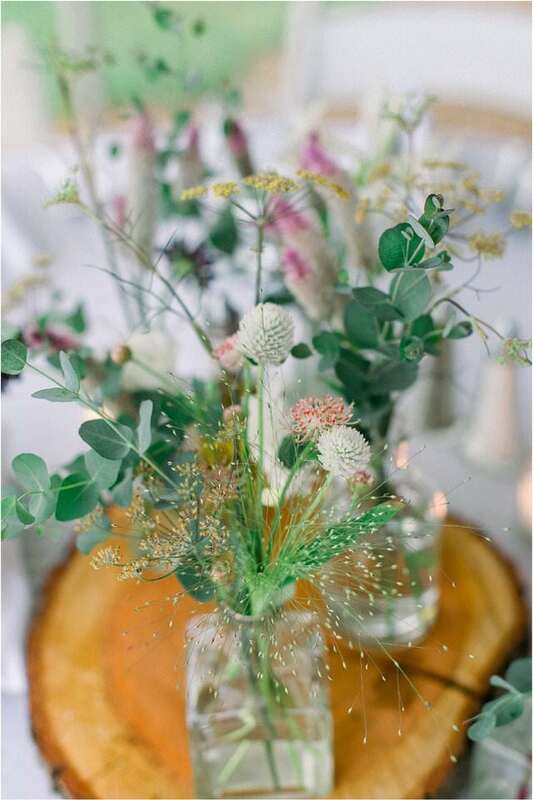 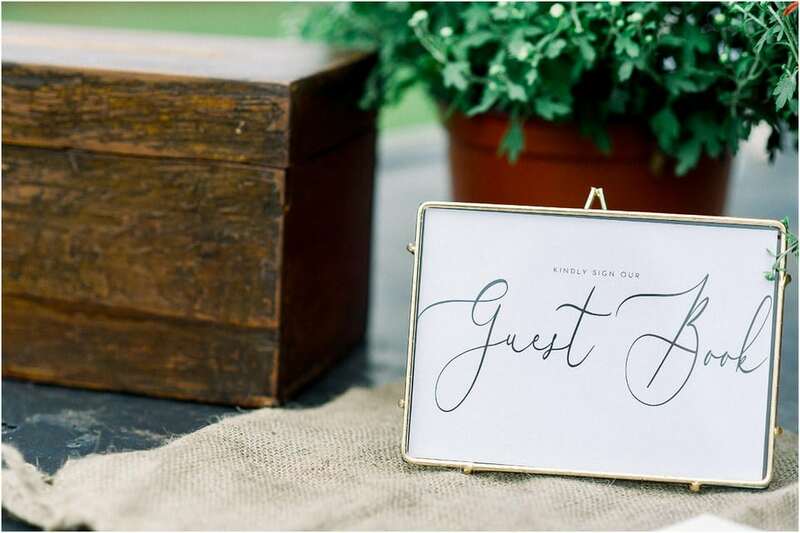 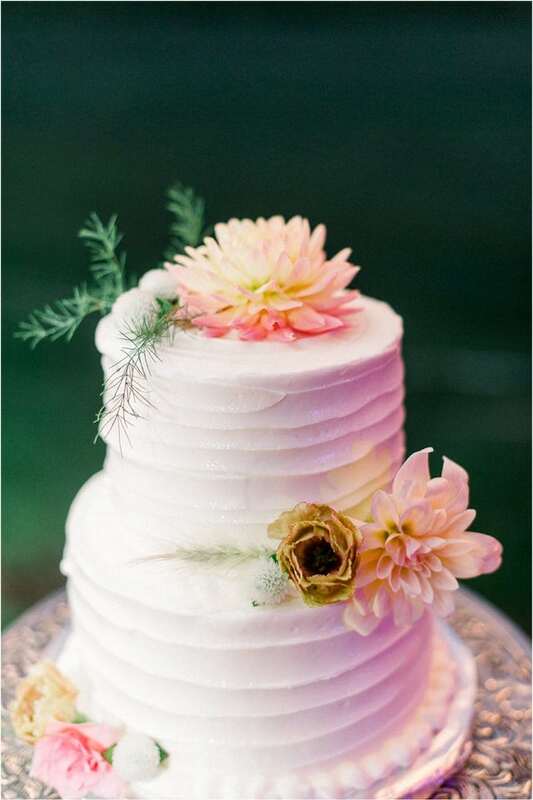 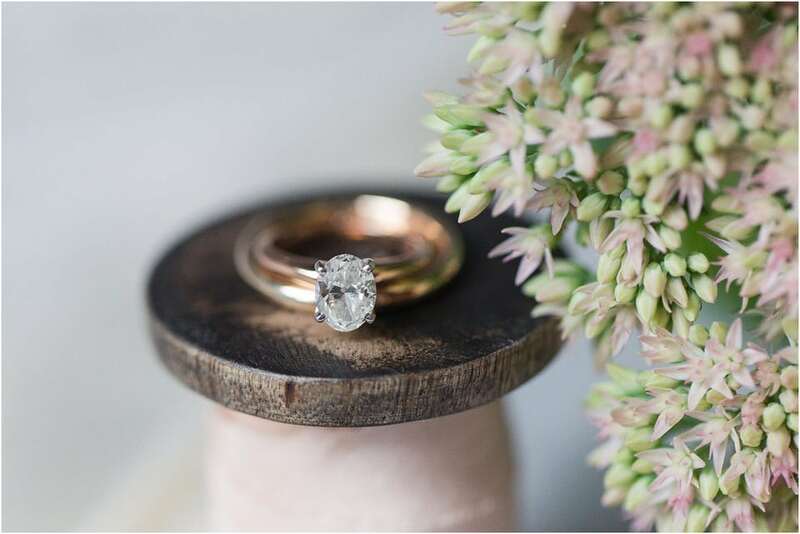 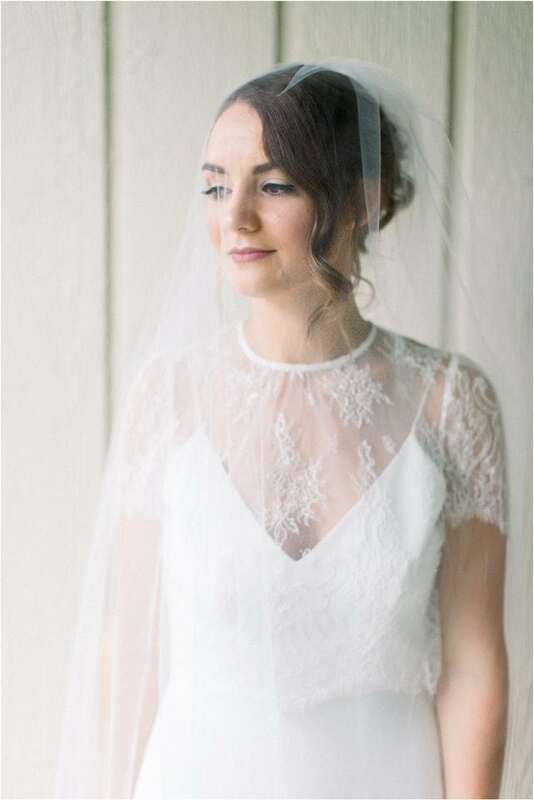 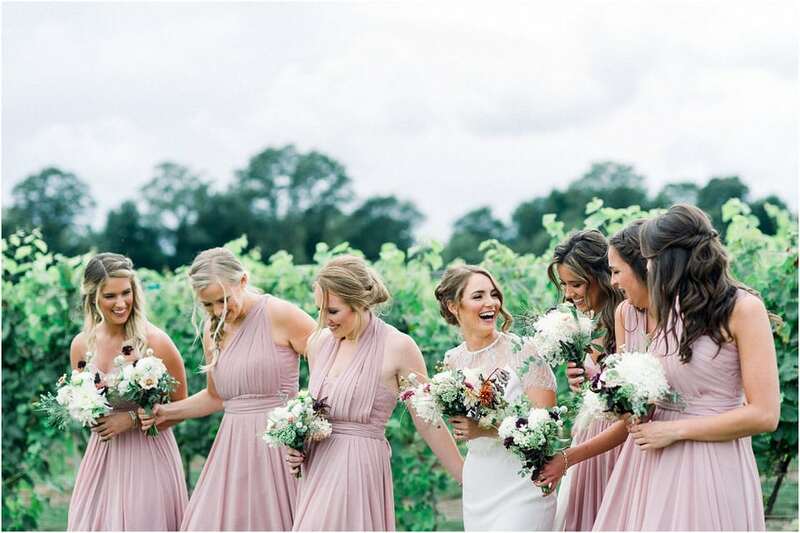 Rosedale Farm and Vineyard is a 5th-generation working farm since 1920 supplying the community with fresh veggies, flowers and beautiful weddings! 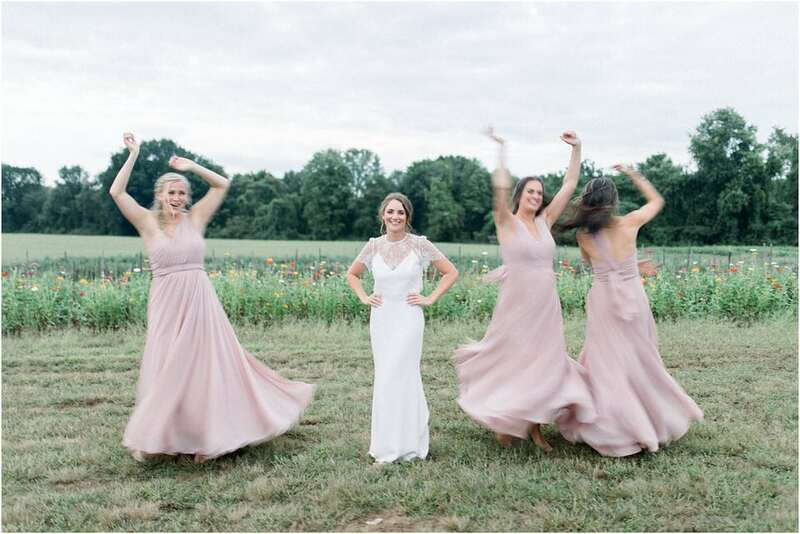 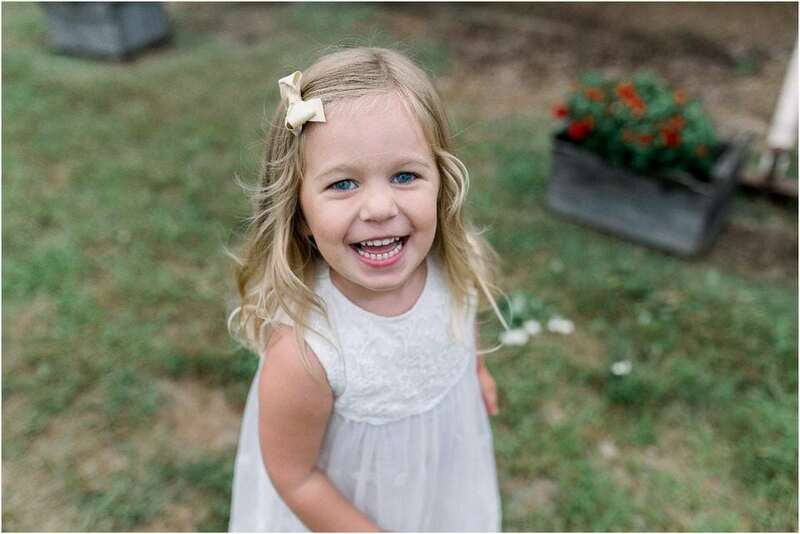 I started off the day with Katie and the girls while my second photographer, Olivia, met the guys at the farm. 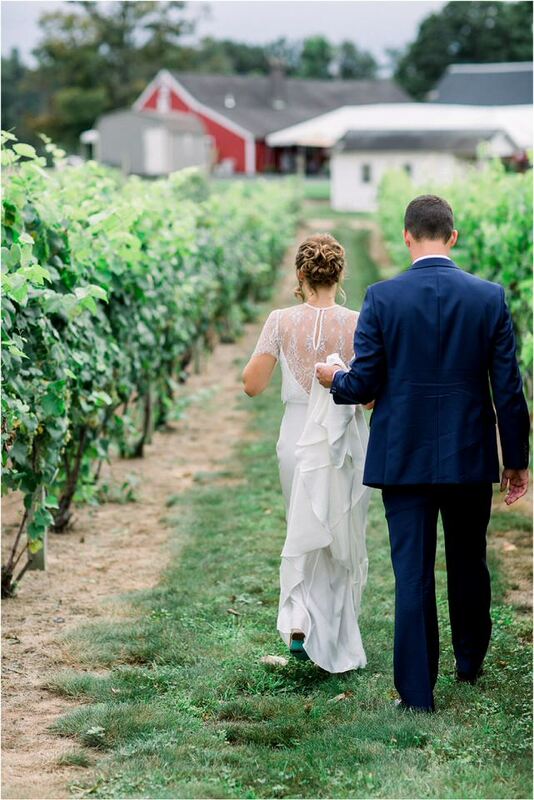 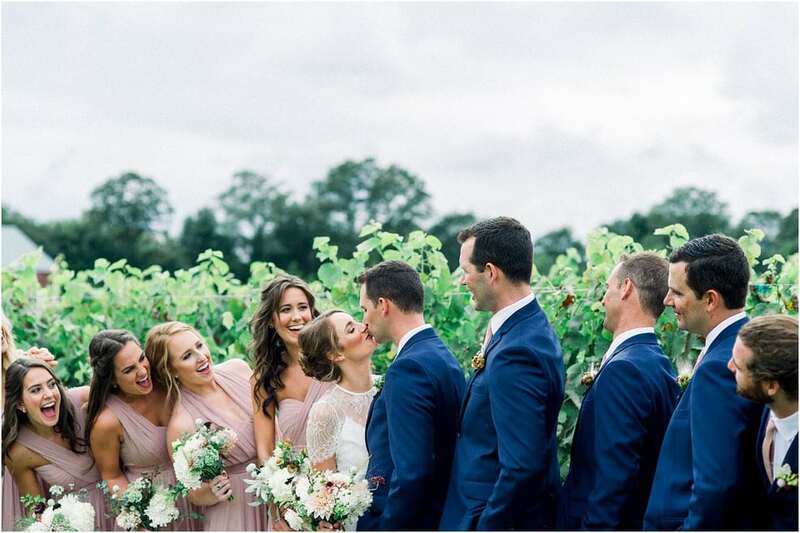 We met in the middle of the vines for the first look. 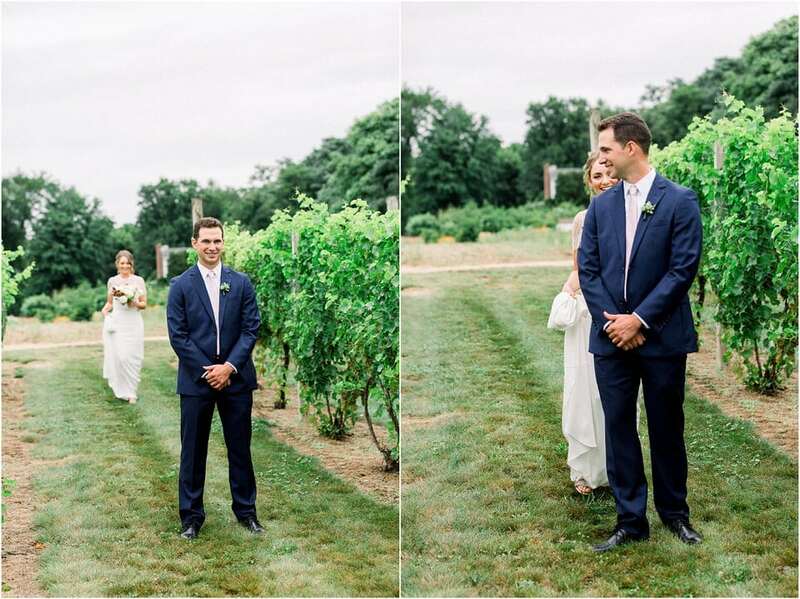 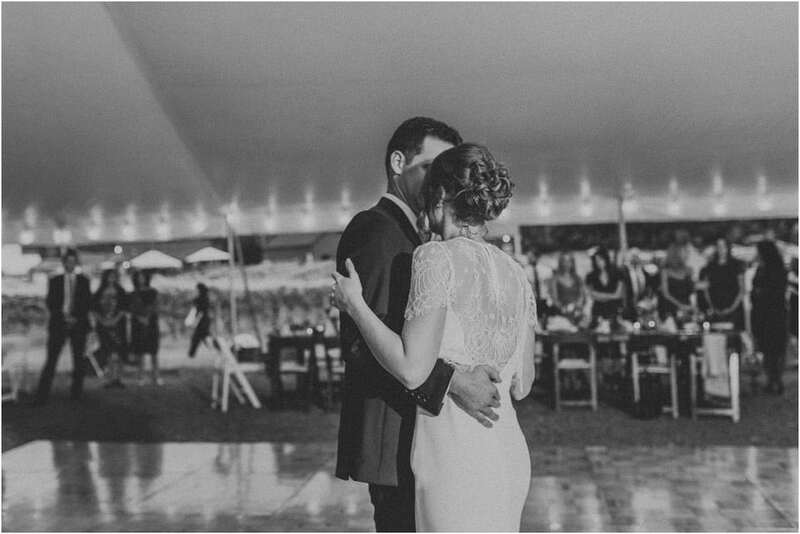 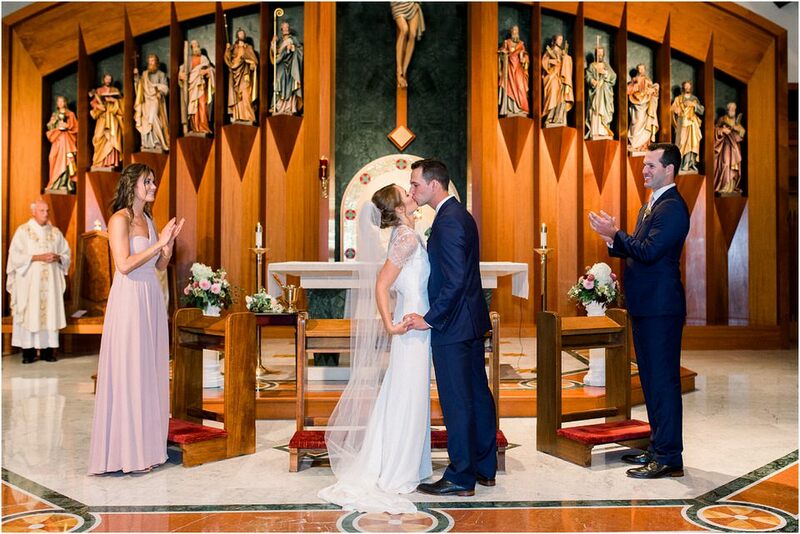 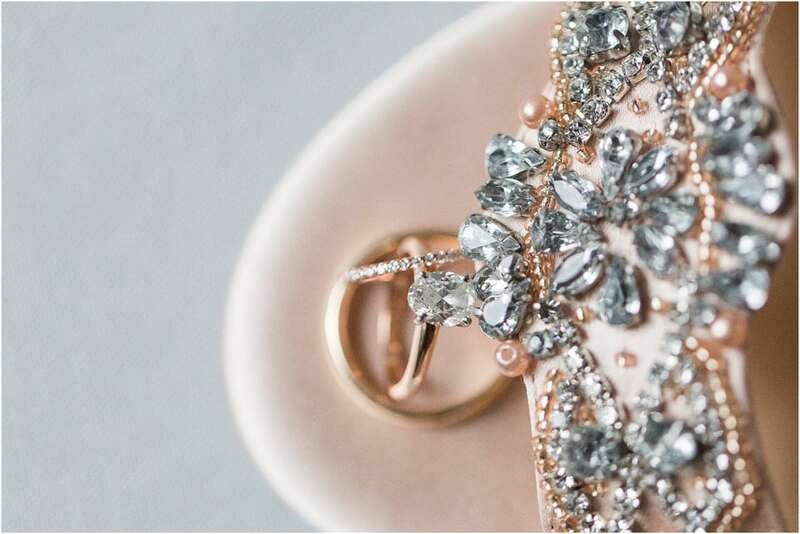 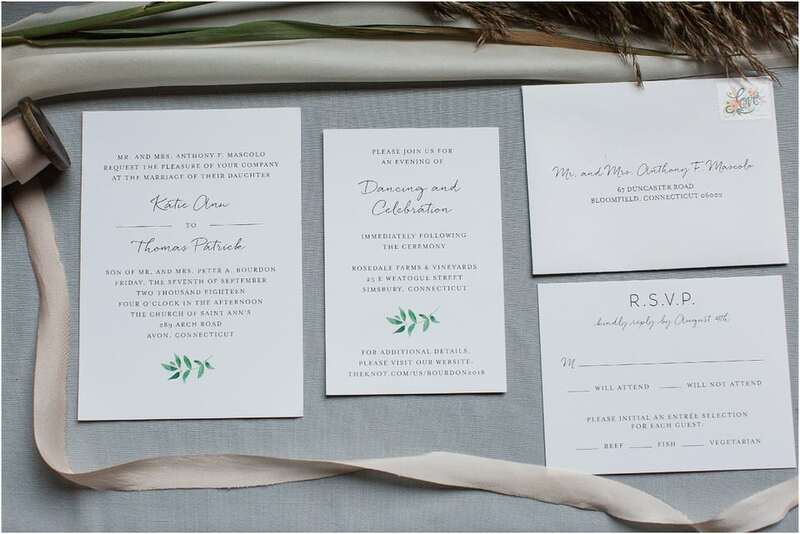 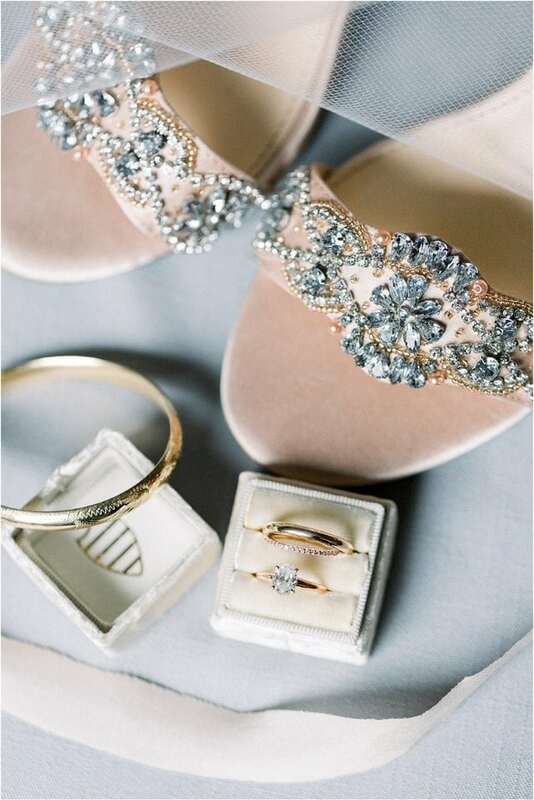 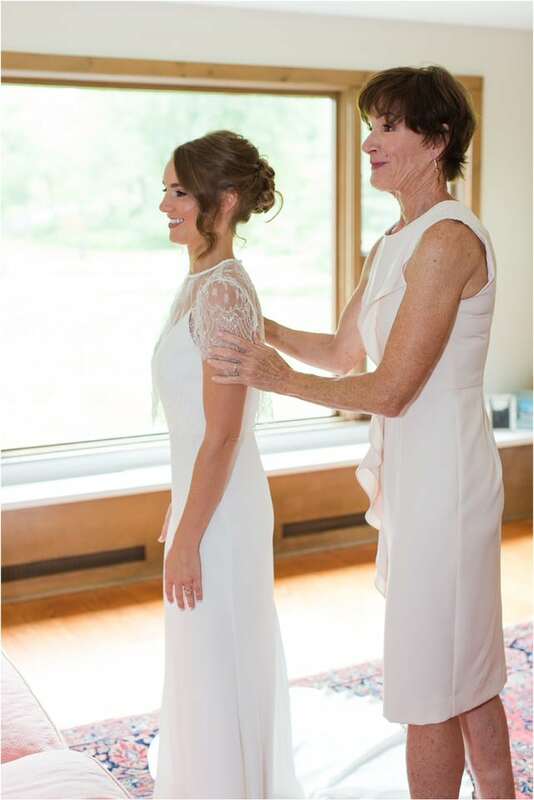 They both had a private moment and calmed each-other’s nerves before the ceremony. 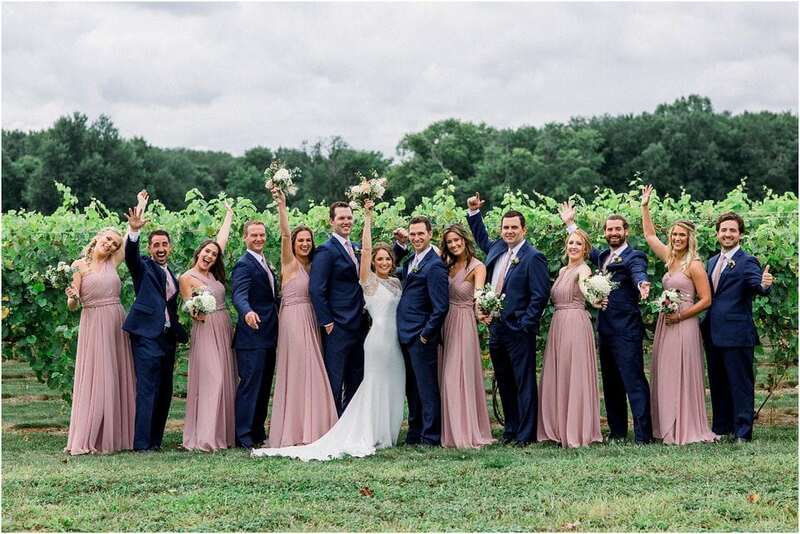 Katie and Thomas had an epic crew surrounding them the whole day. 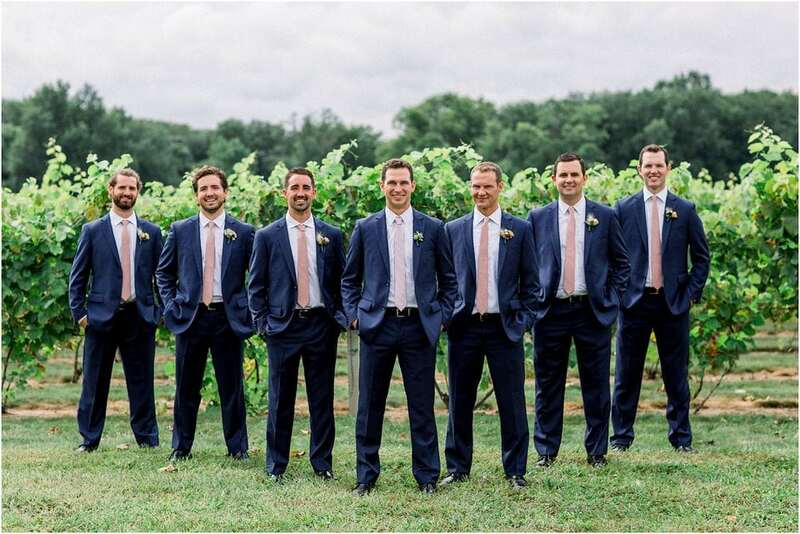 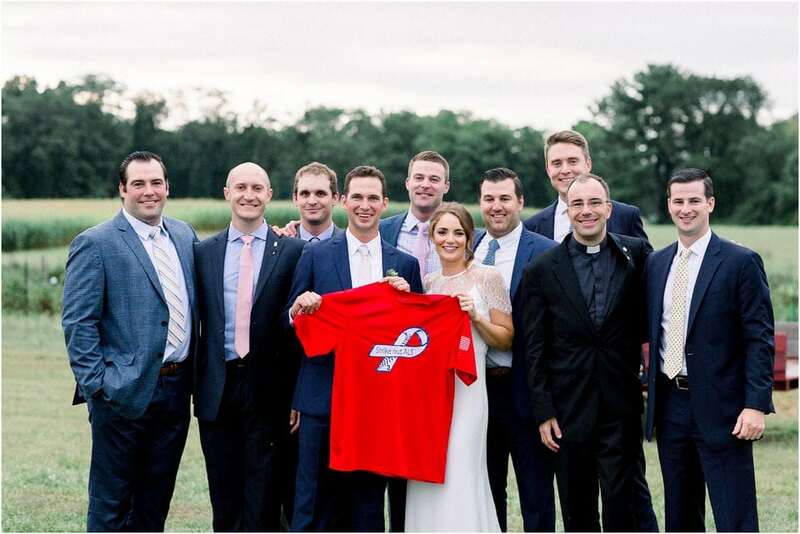 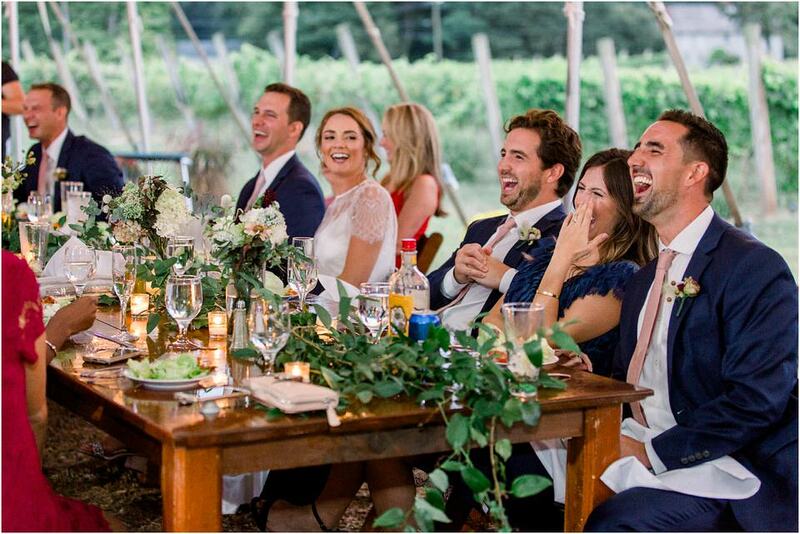 Thomas groomsmen consisted of his three brothers + Katie’s three brothers – you could really feel the love all around! 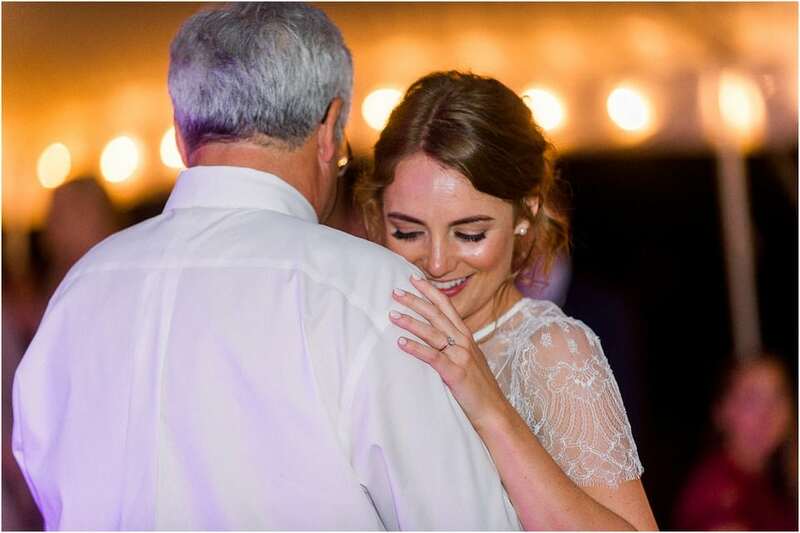 One of my favorite parts of the day was when Katie’s father gave his opening speech about giving away Katie after all the years. 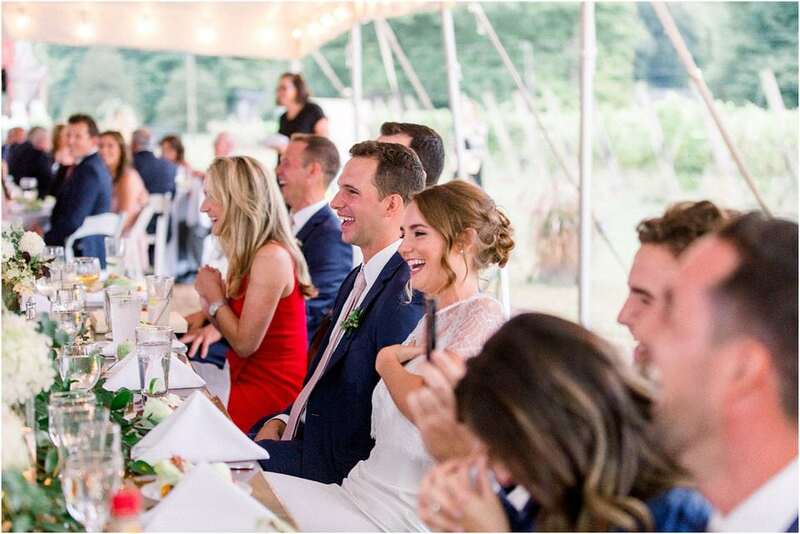 The entire room was filled with laughter and cheers. 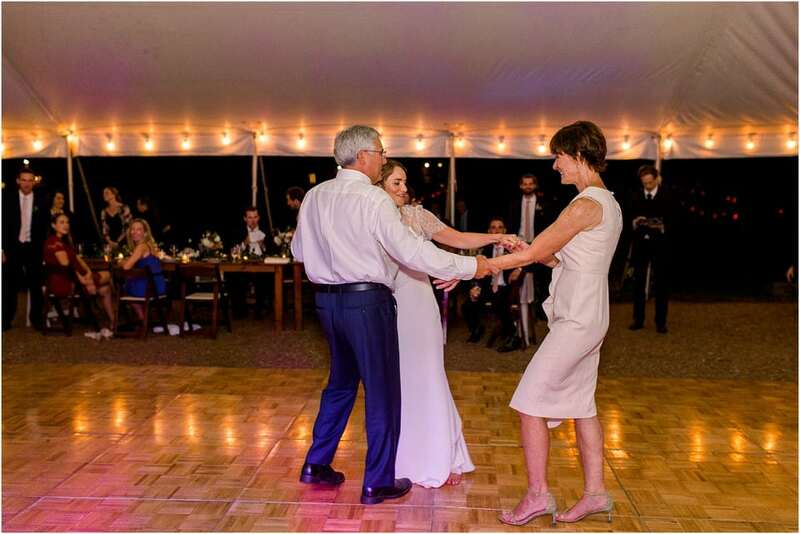 Later during first dances, Kate and her dad had her mom join them and they all danced together which was a very beautiful moment to witness. 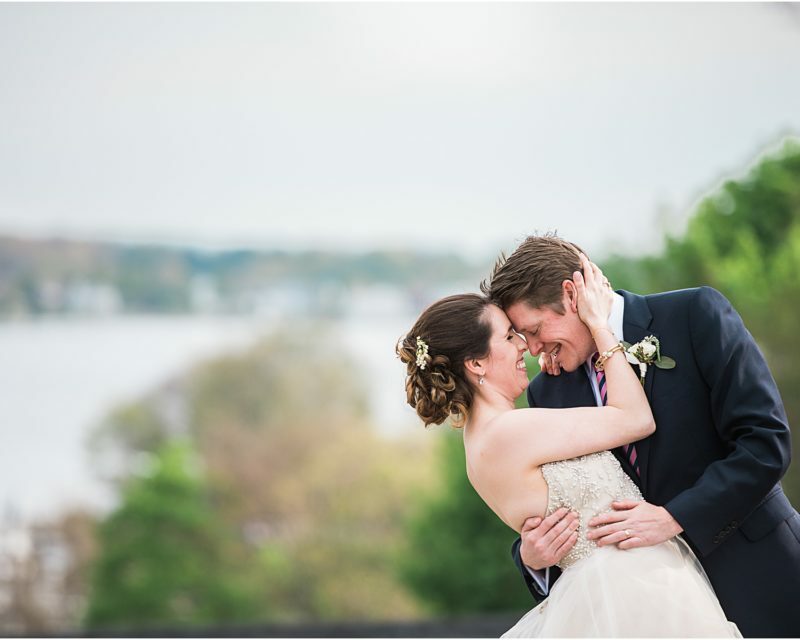 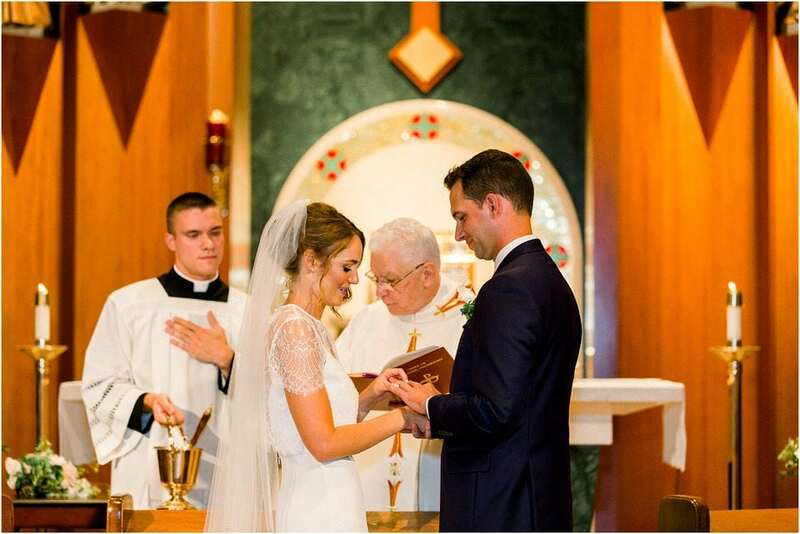 Katie and Thomas, I am so very honored to have been able to witness your inspirational love. 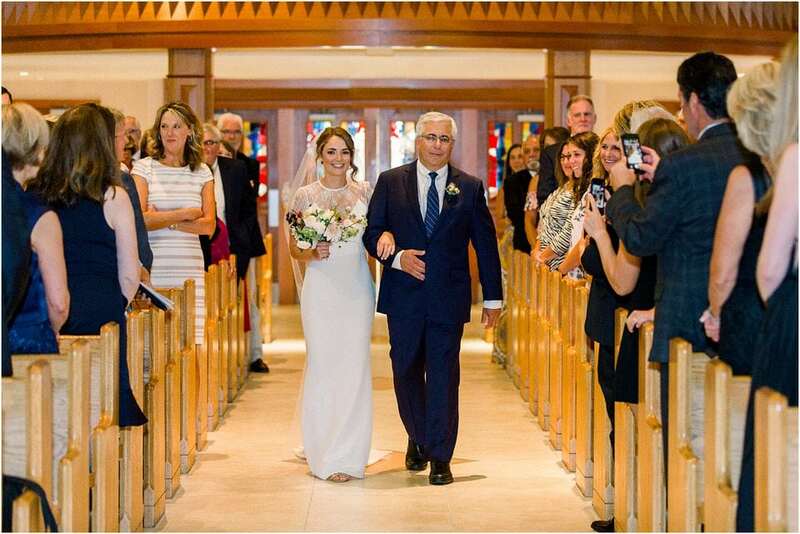 Ten down – millions more to go.